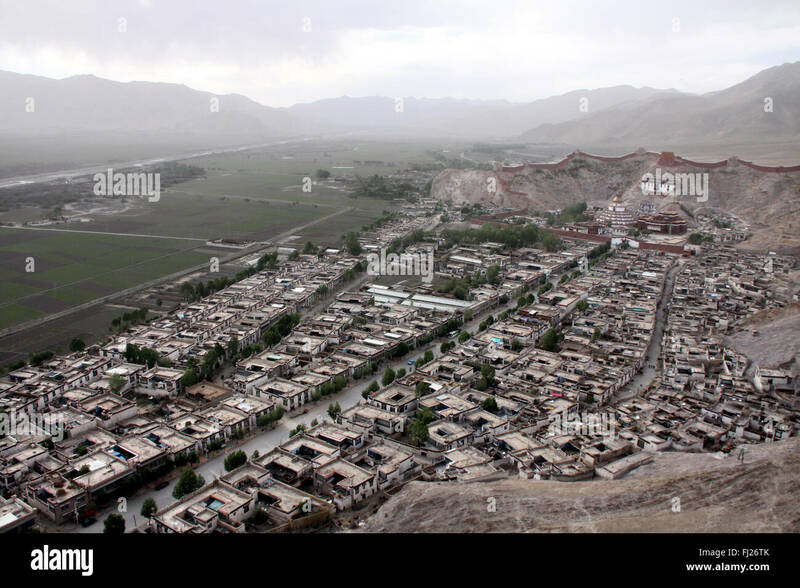 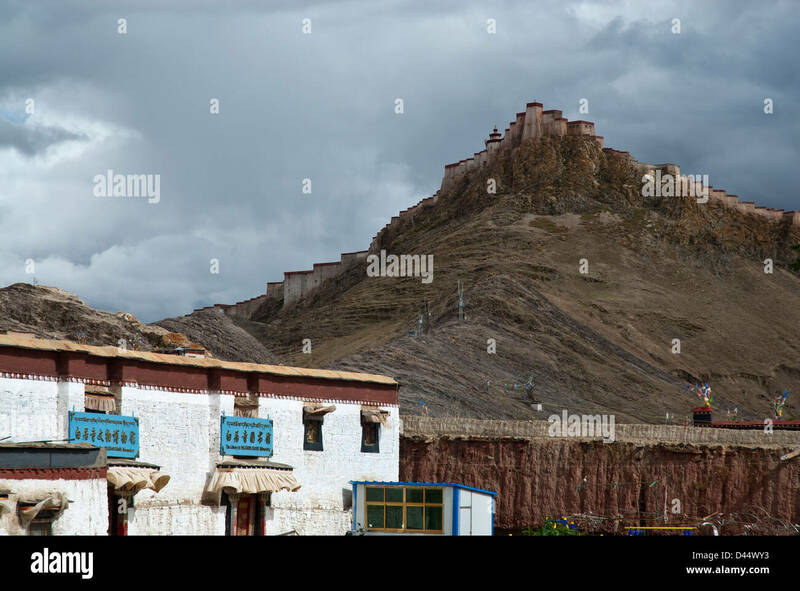 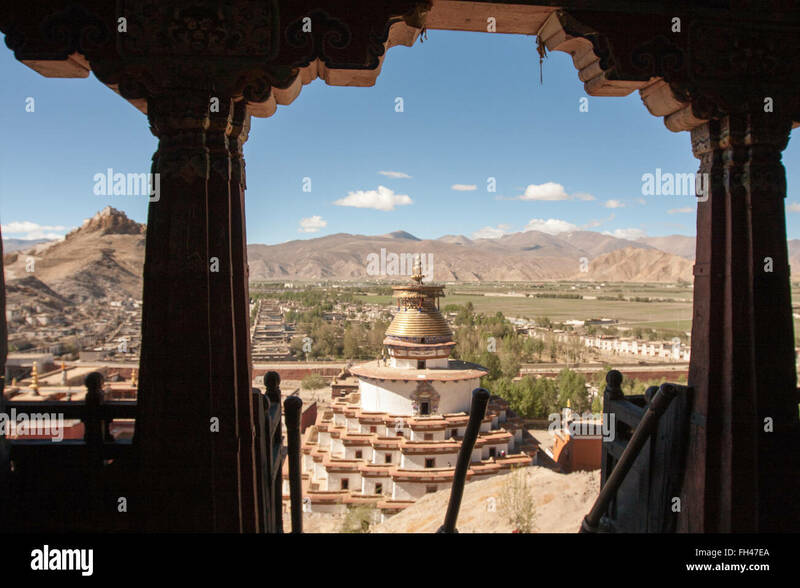 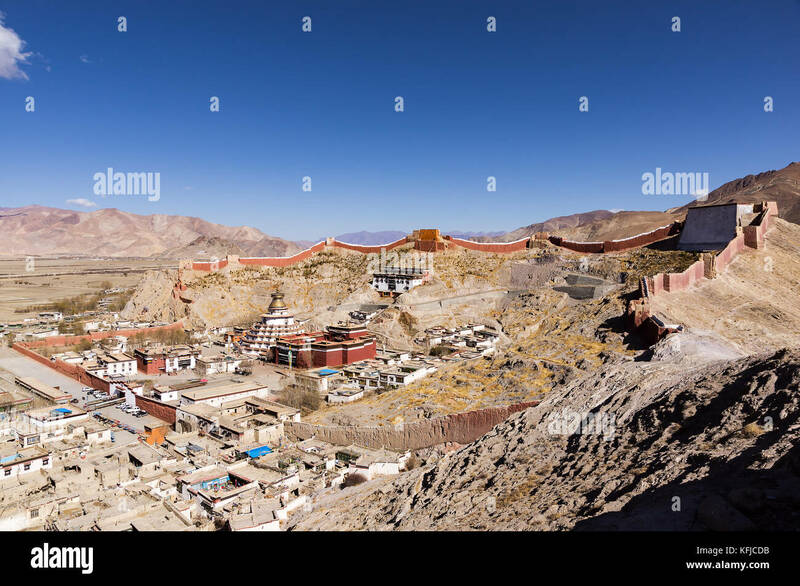 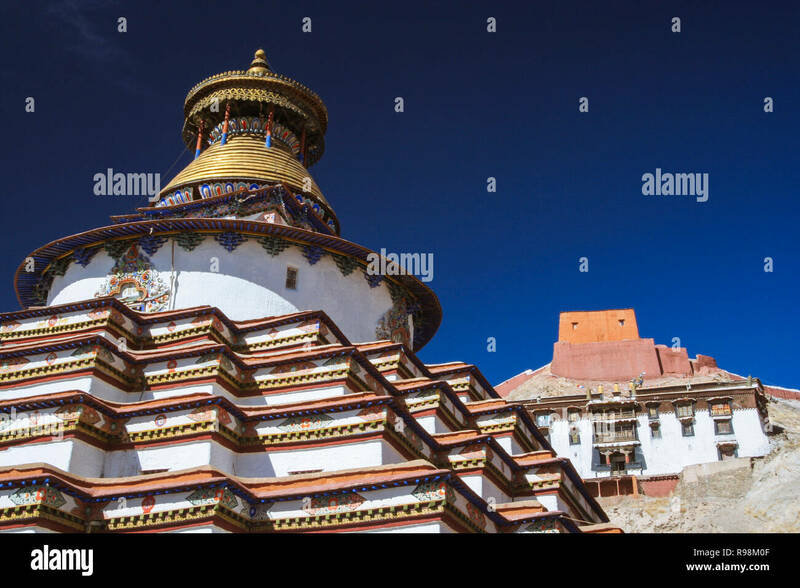 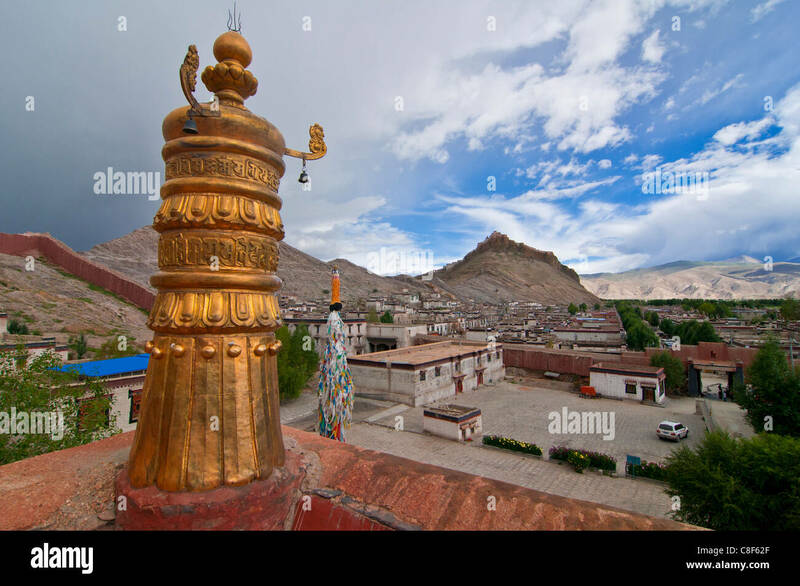 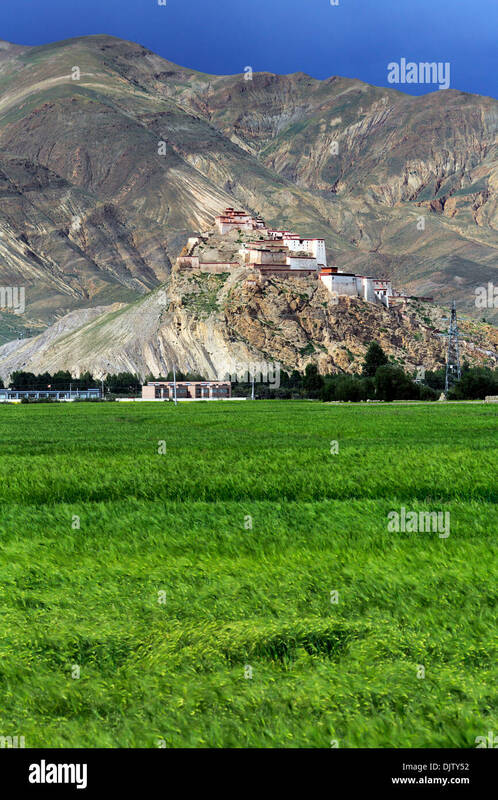 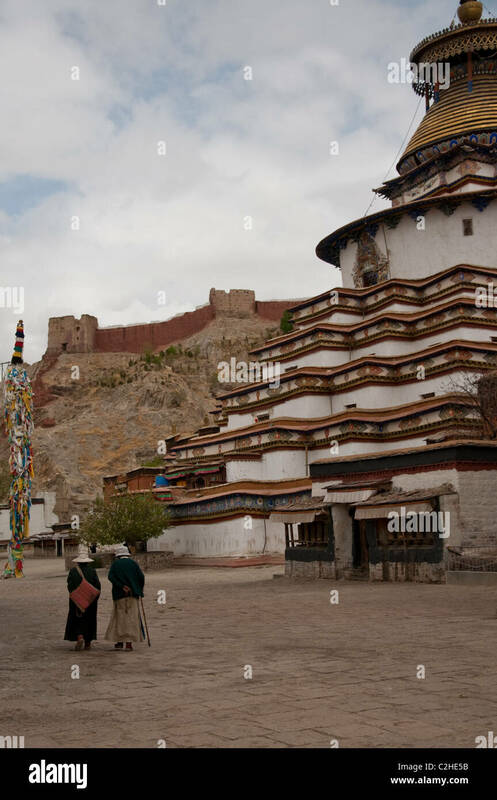 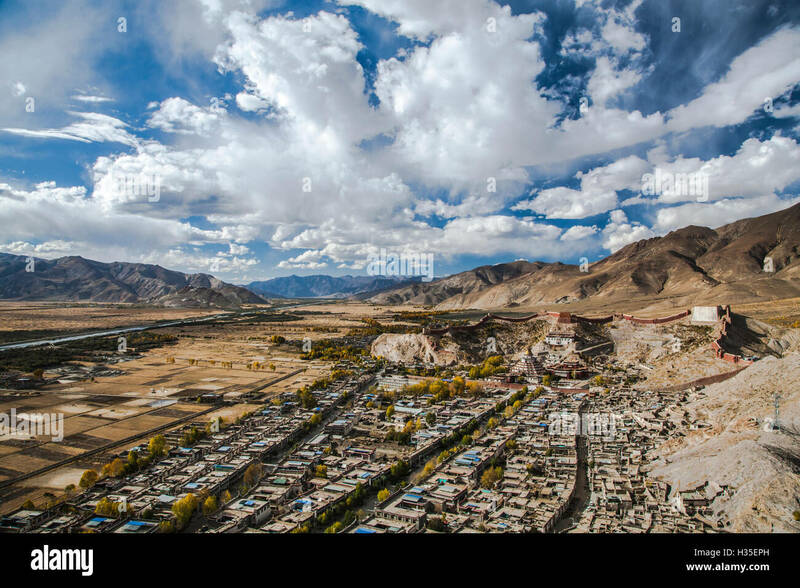 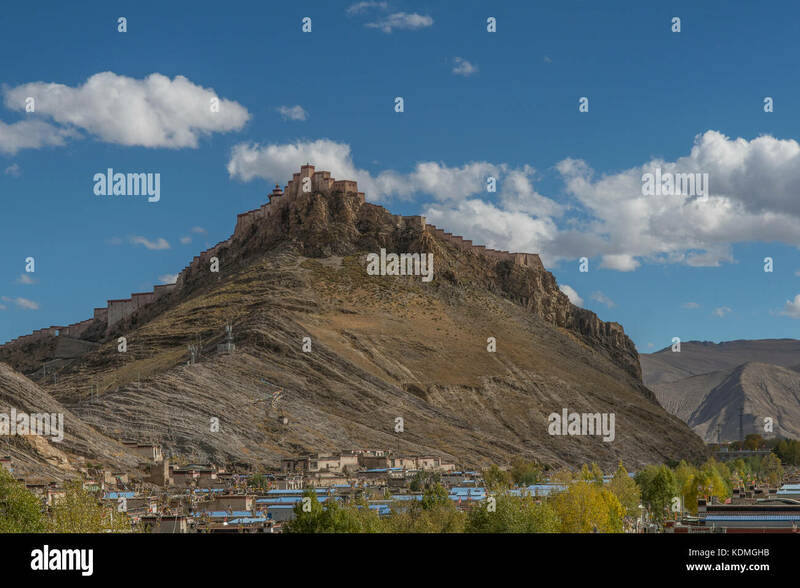 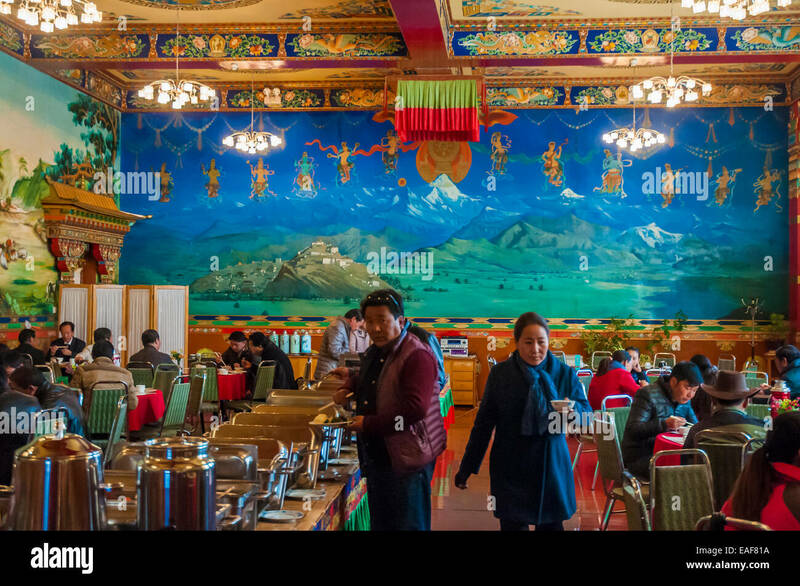 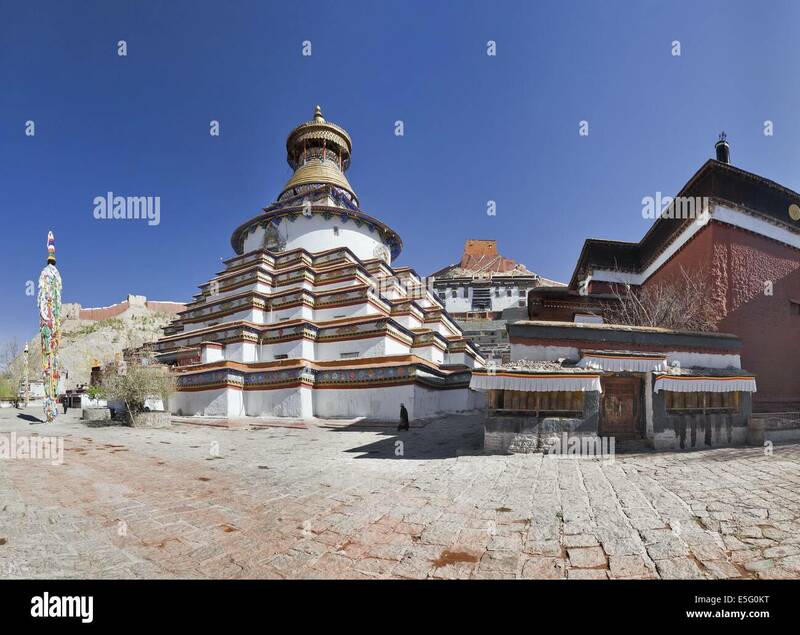 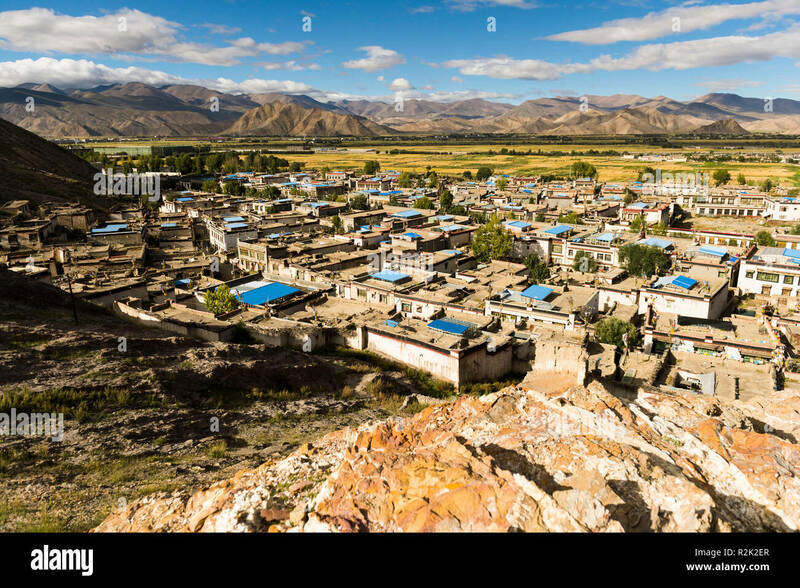 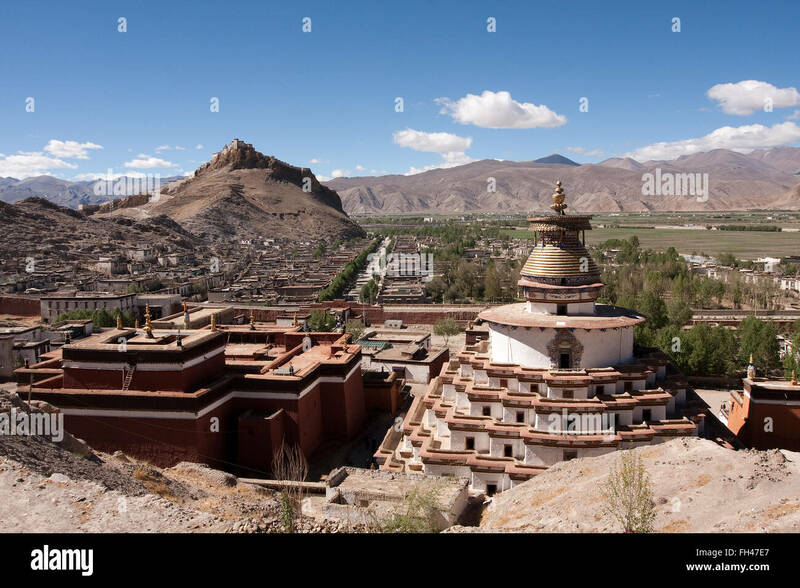 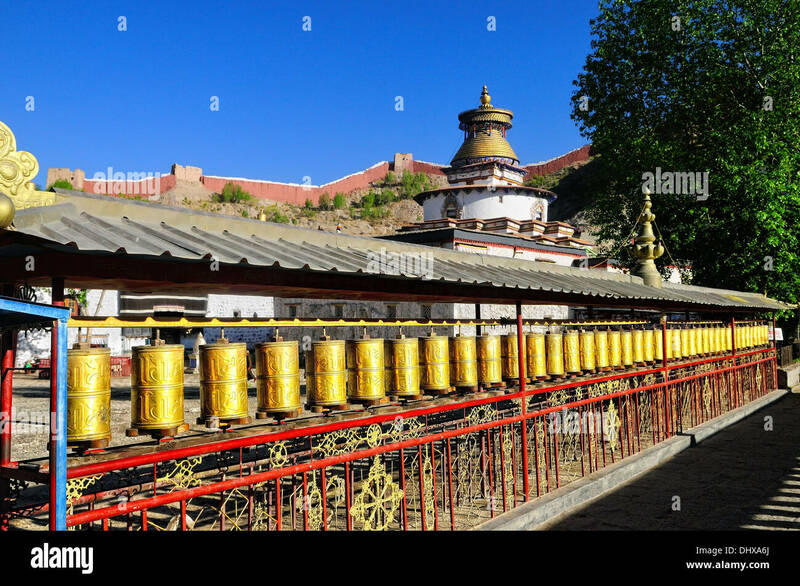 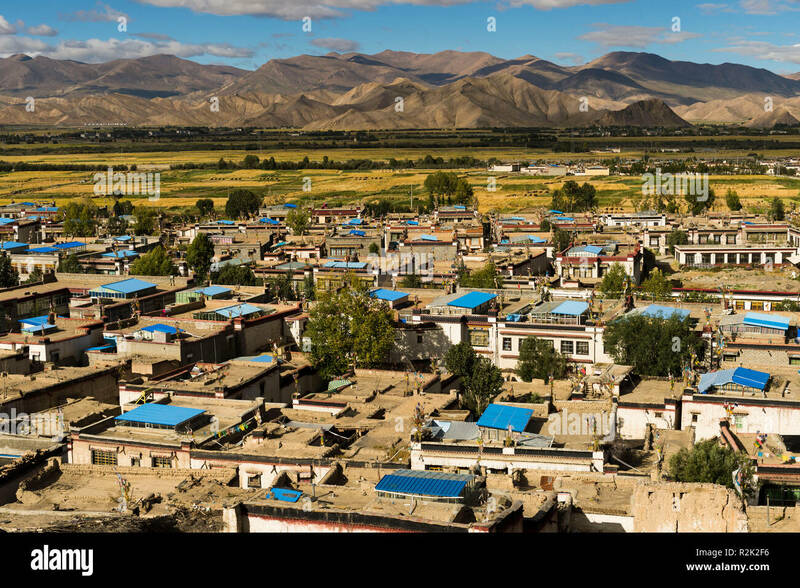 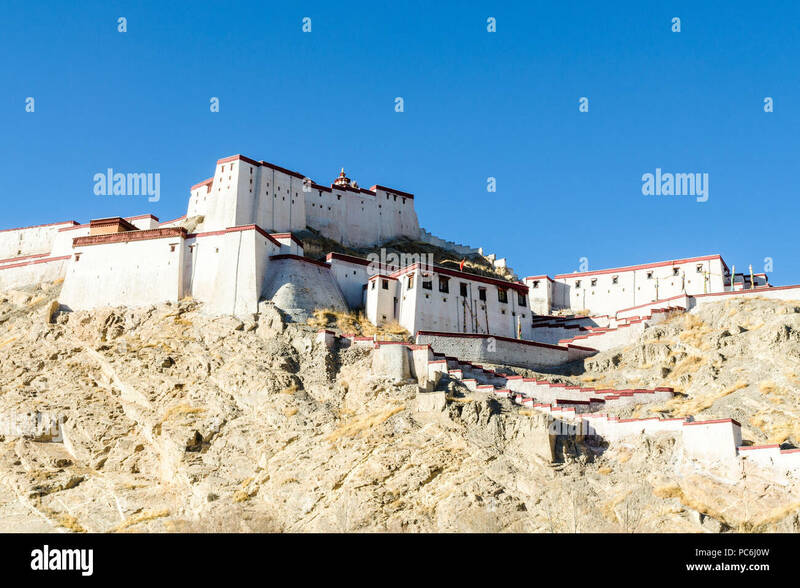 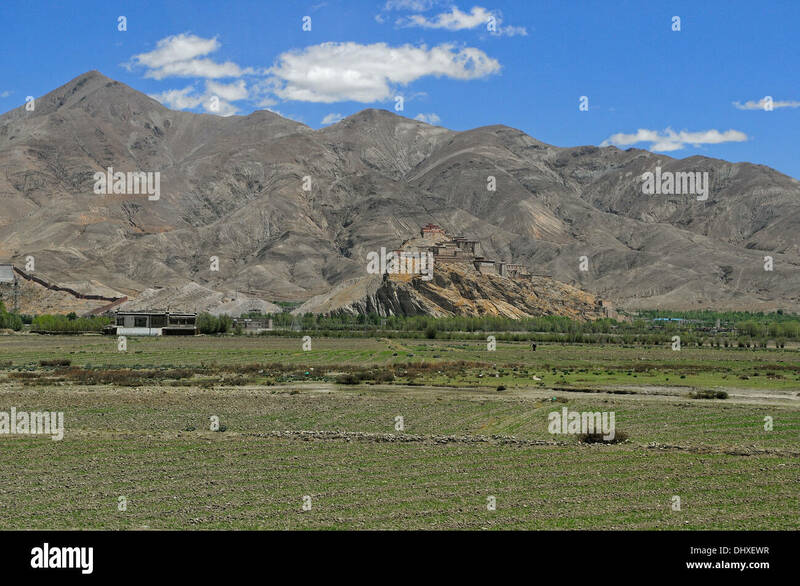 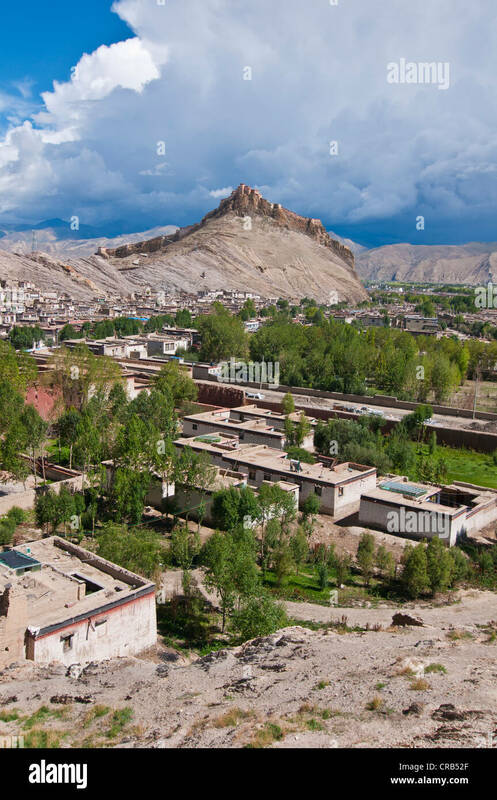 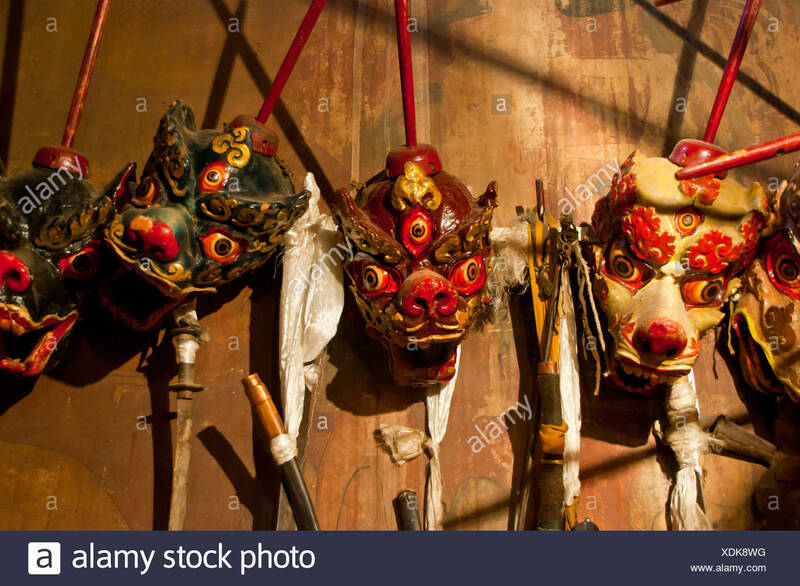 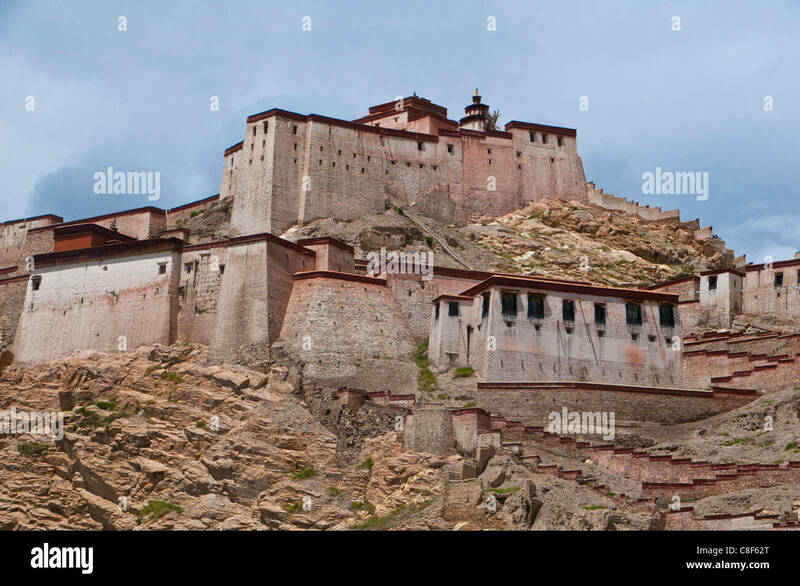 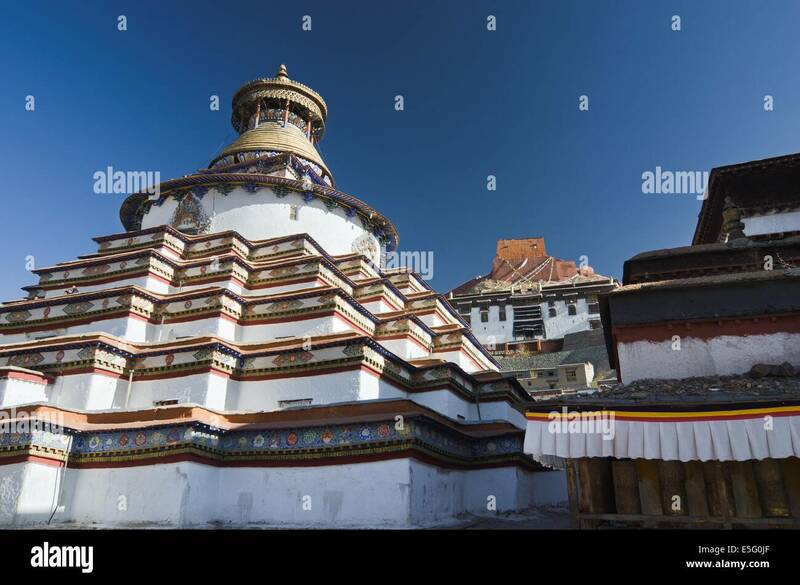 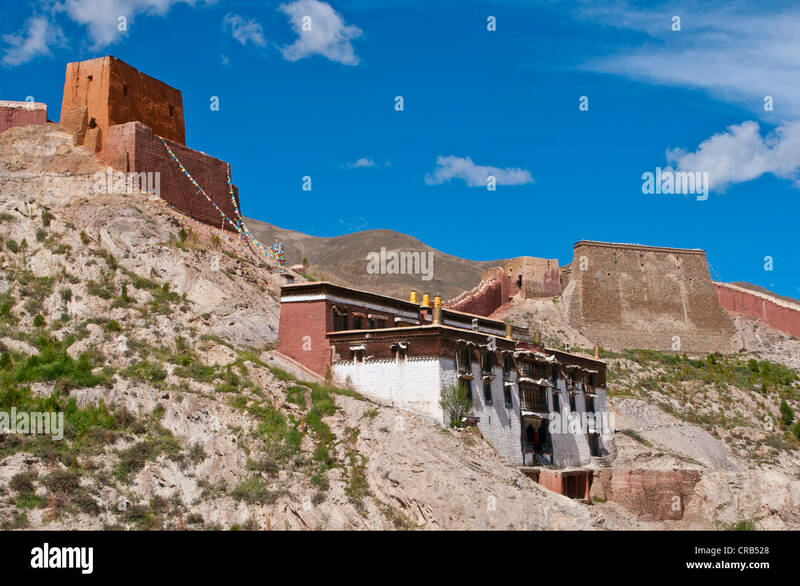 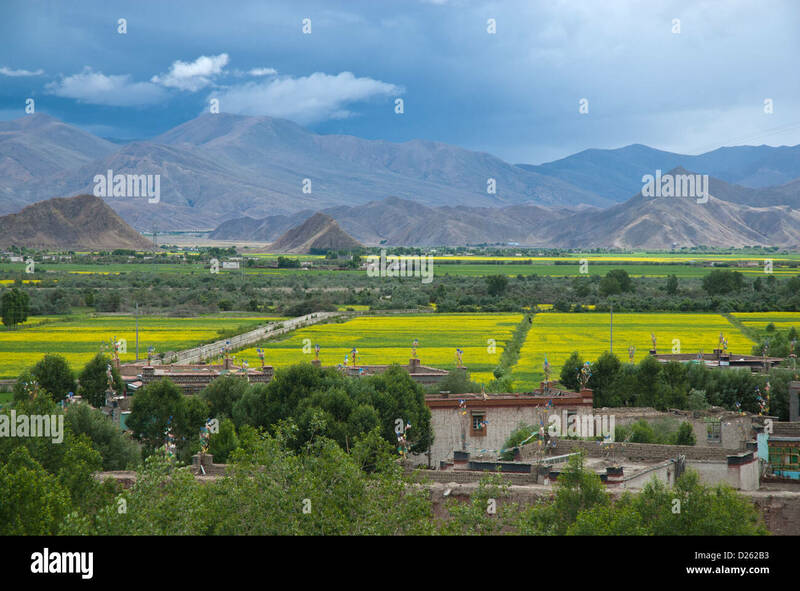 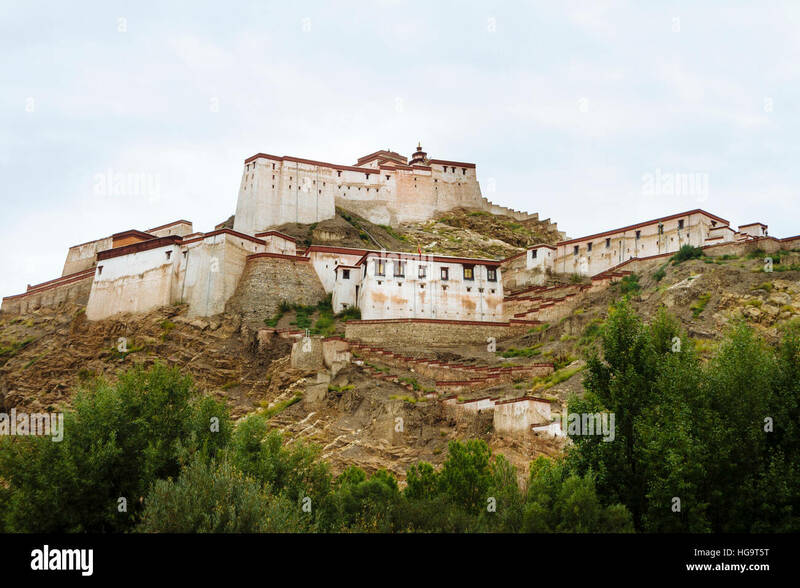 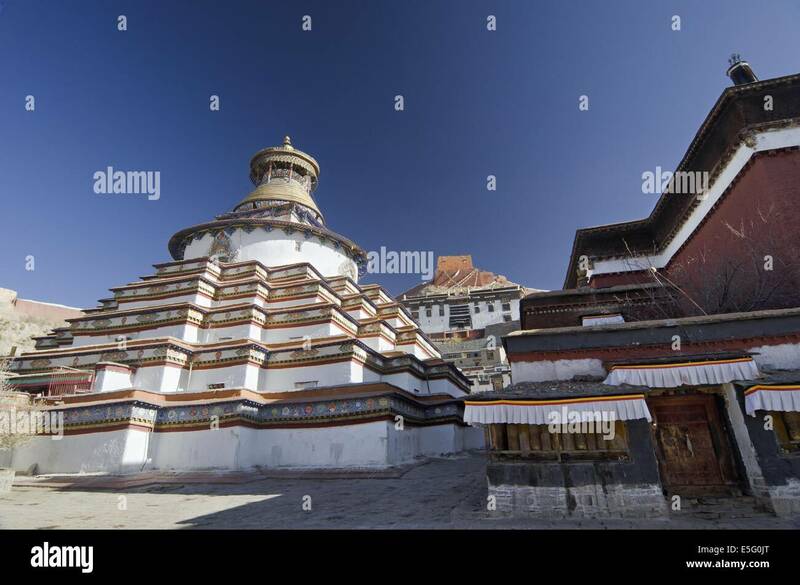 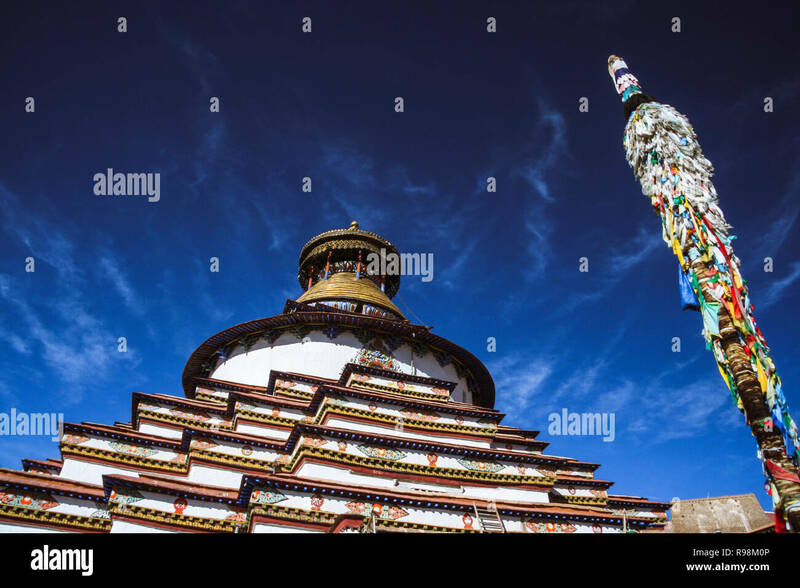 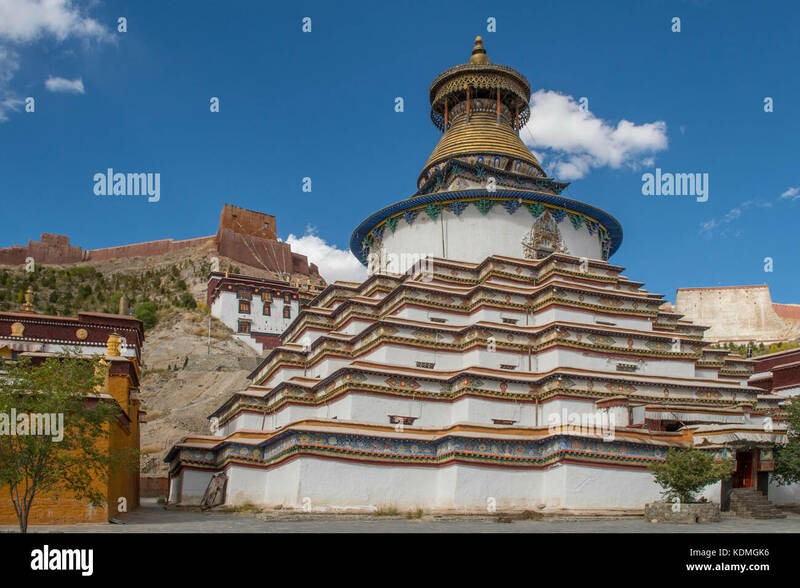 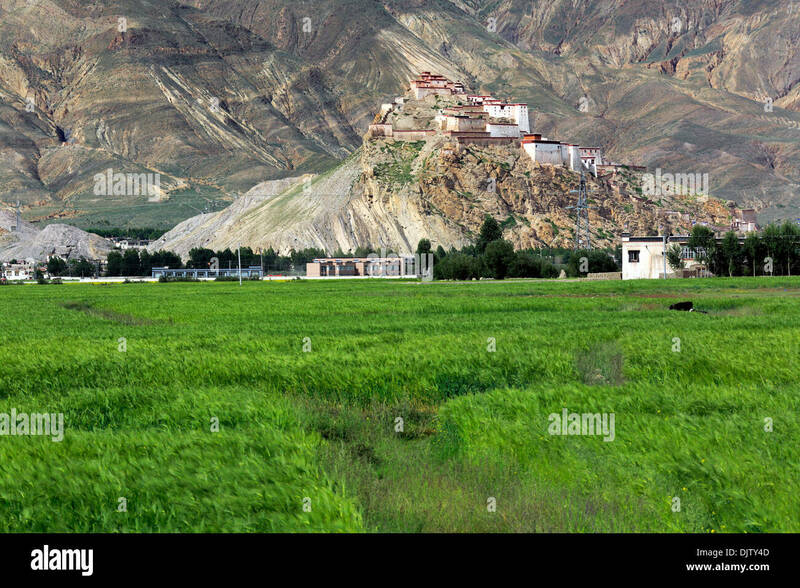 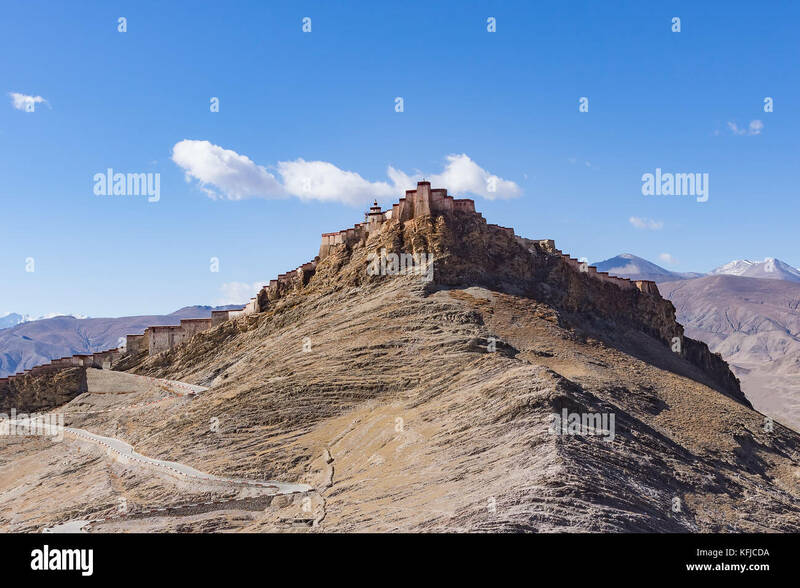 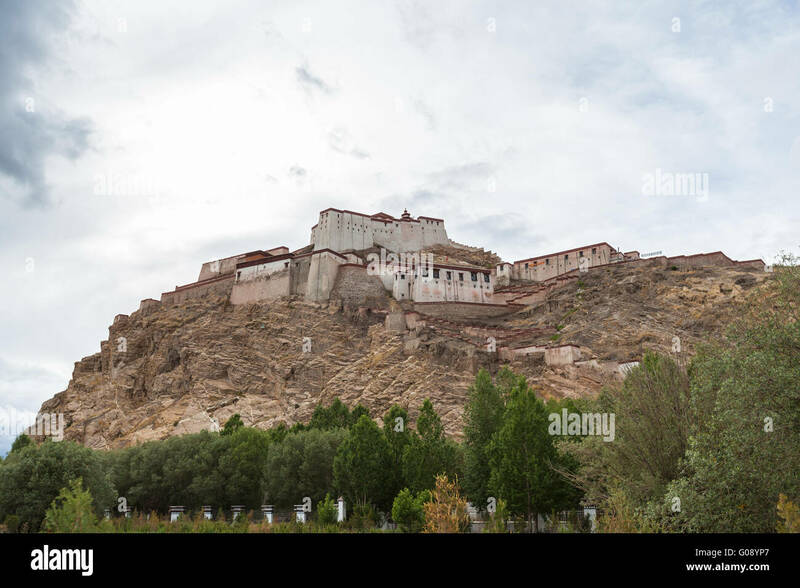 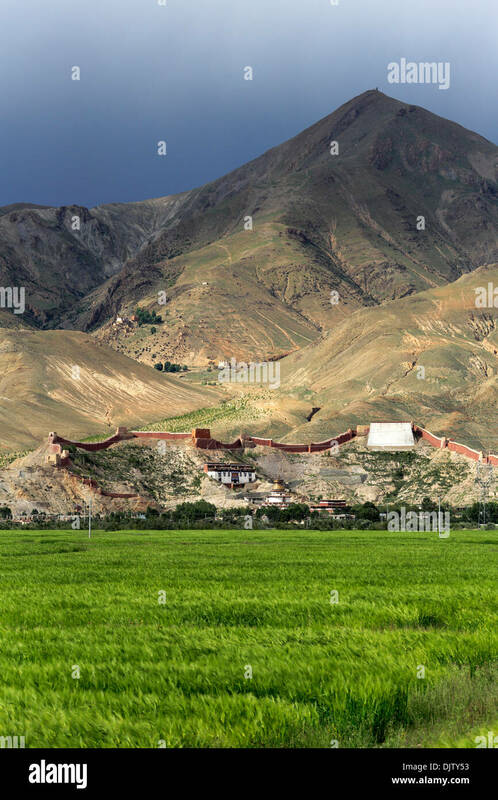 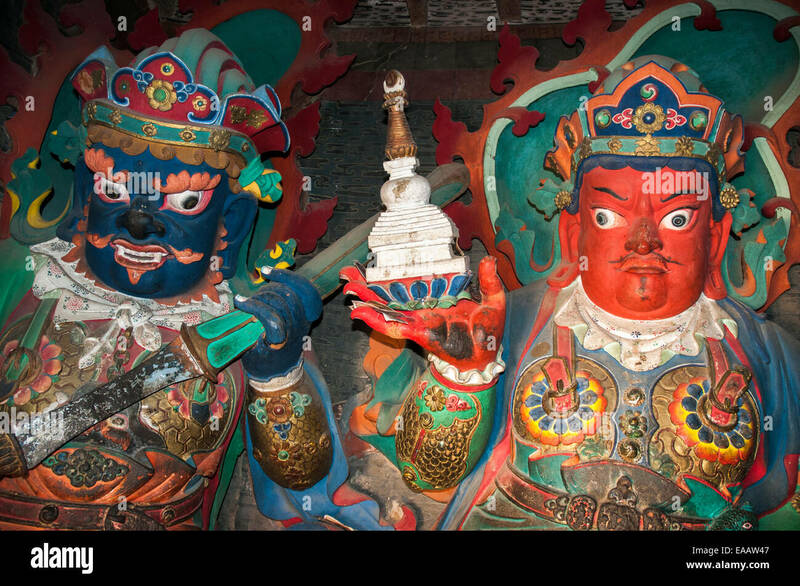 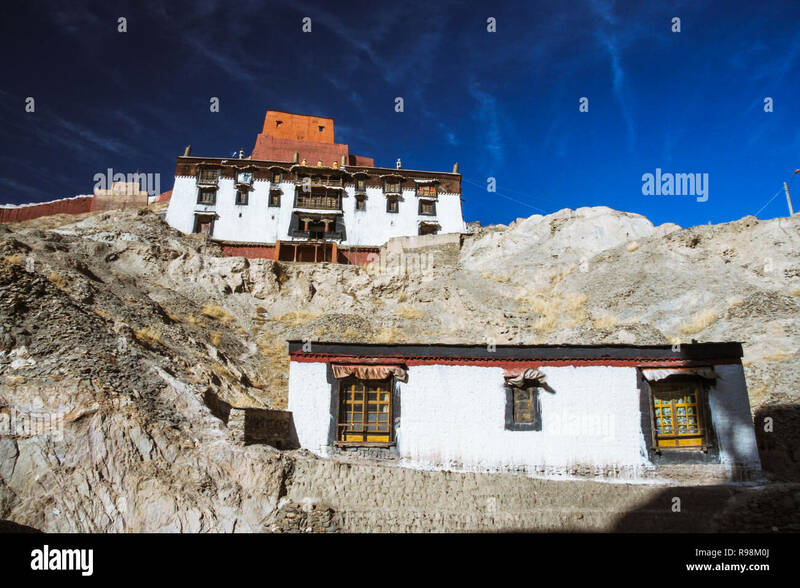 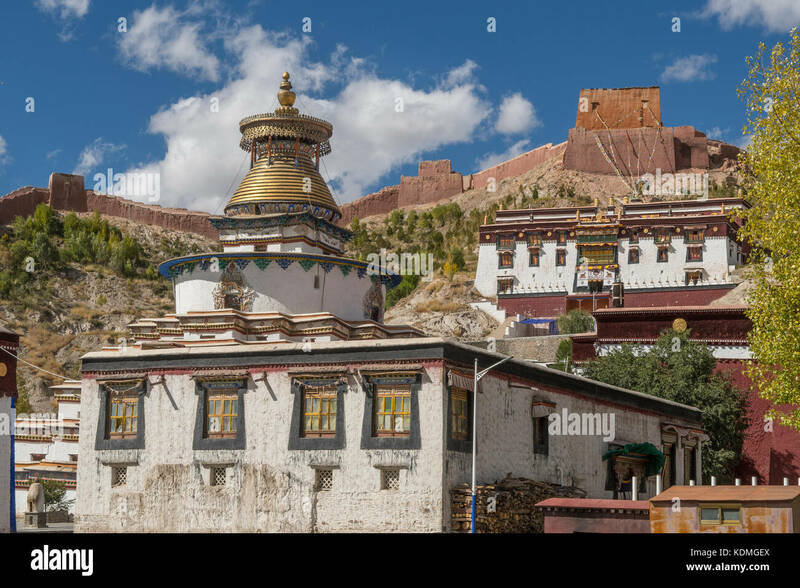 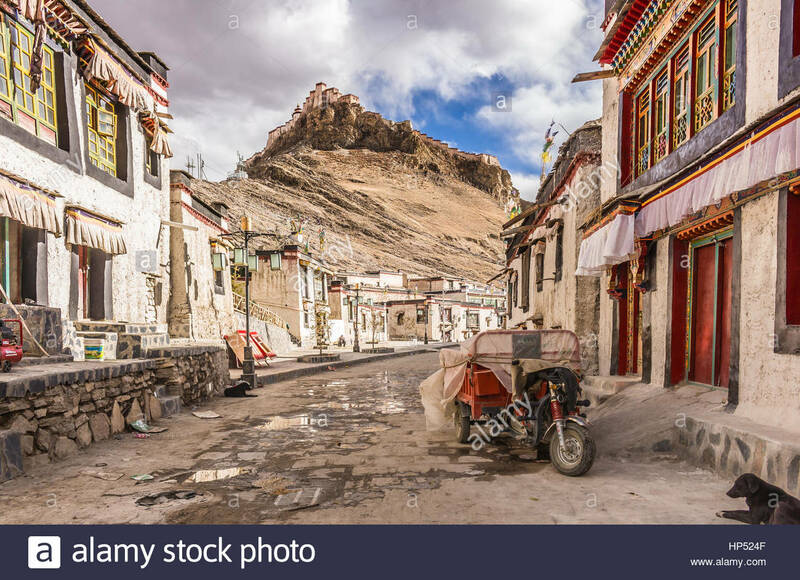 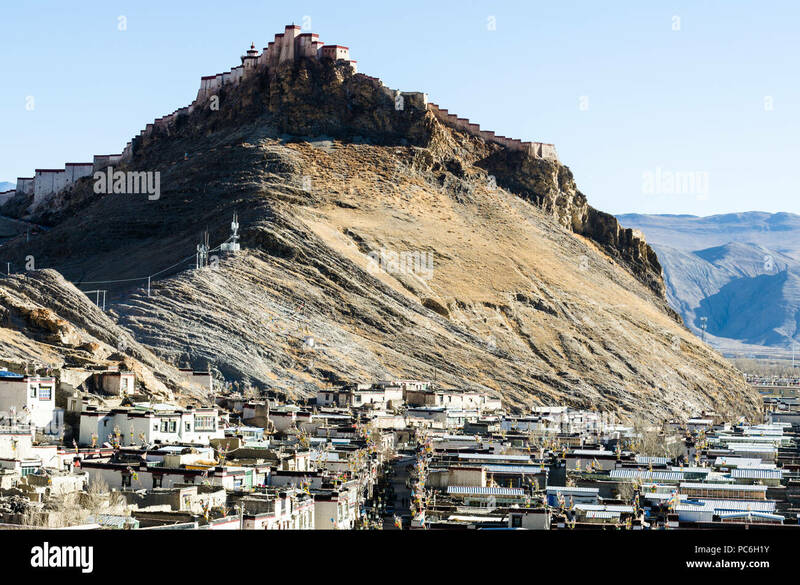 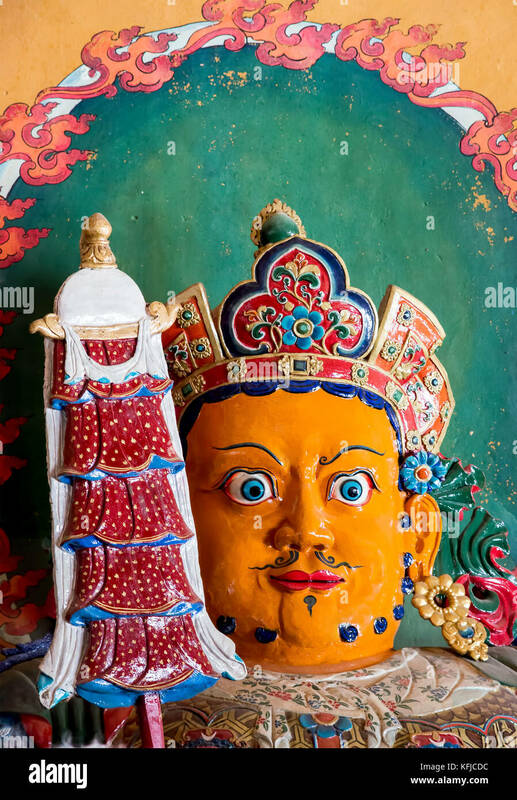 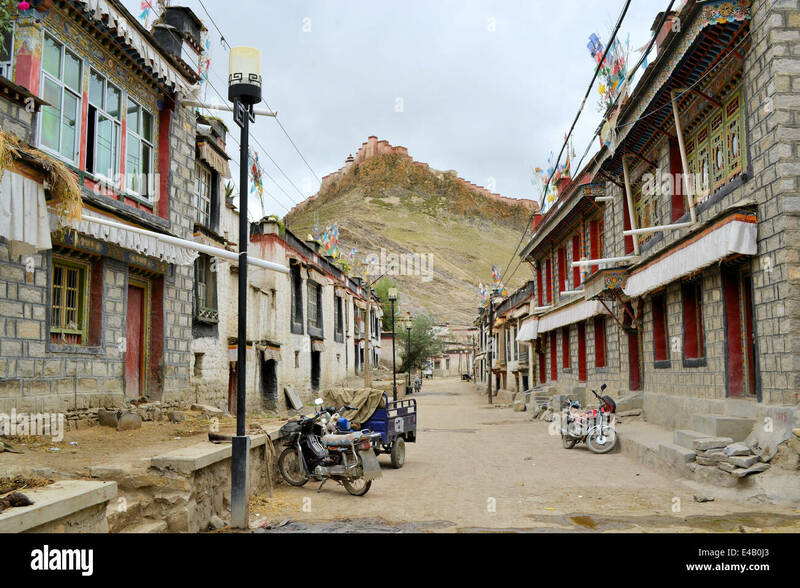 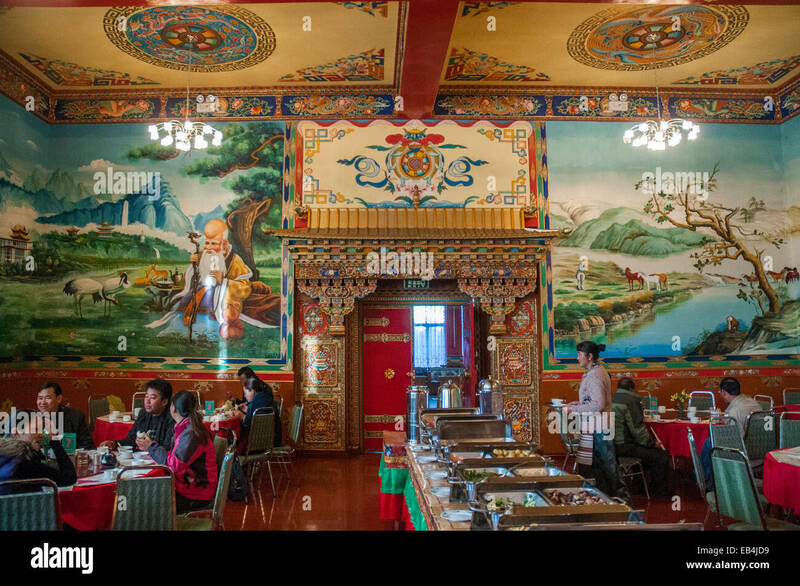 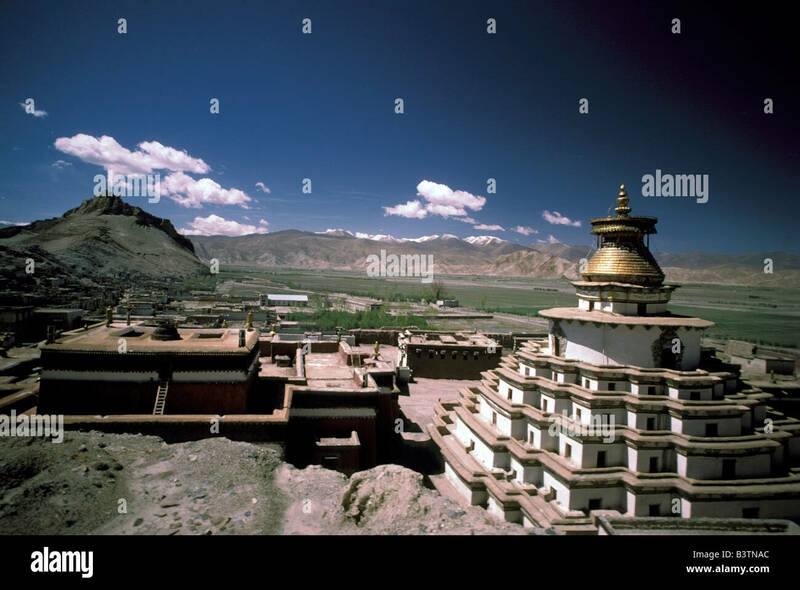 Dzong Fort and the town of Gyantse in Tibet. 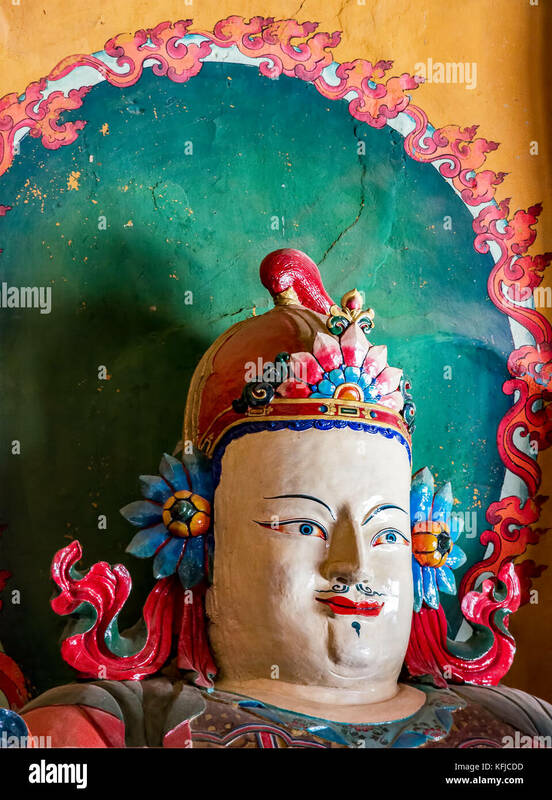 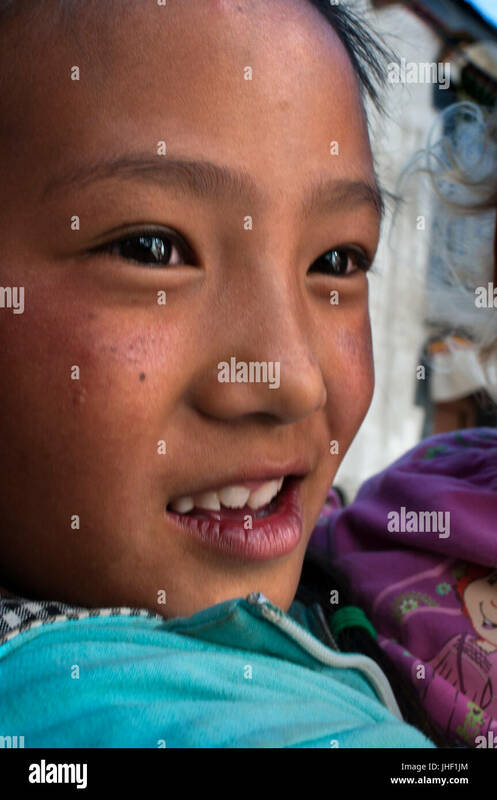 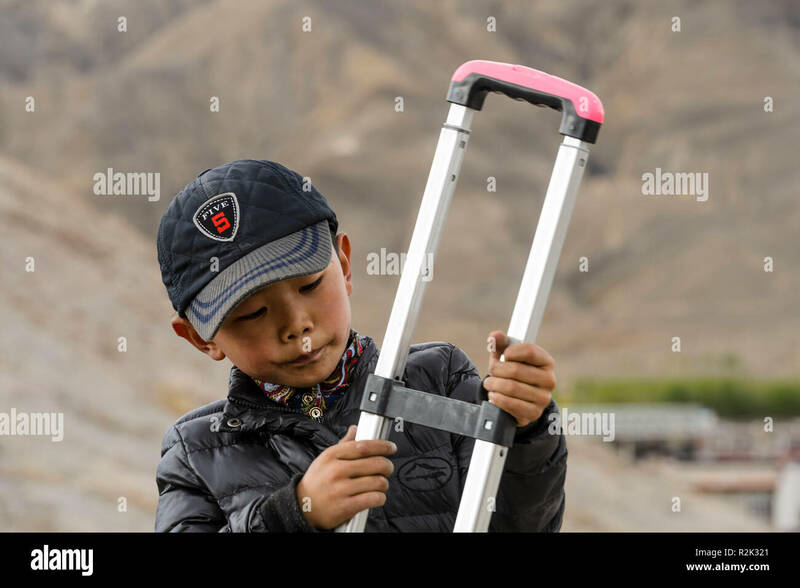 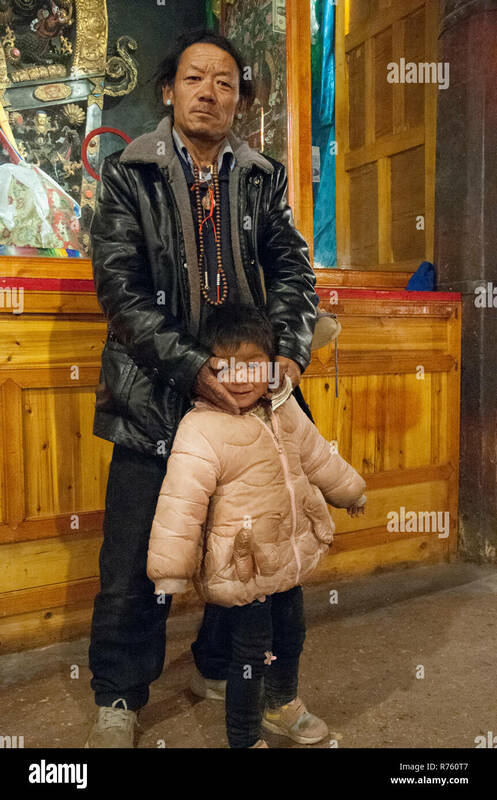 Portrait of a girl in the Gyantse village, Tibet, China. 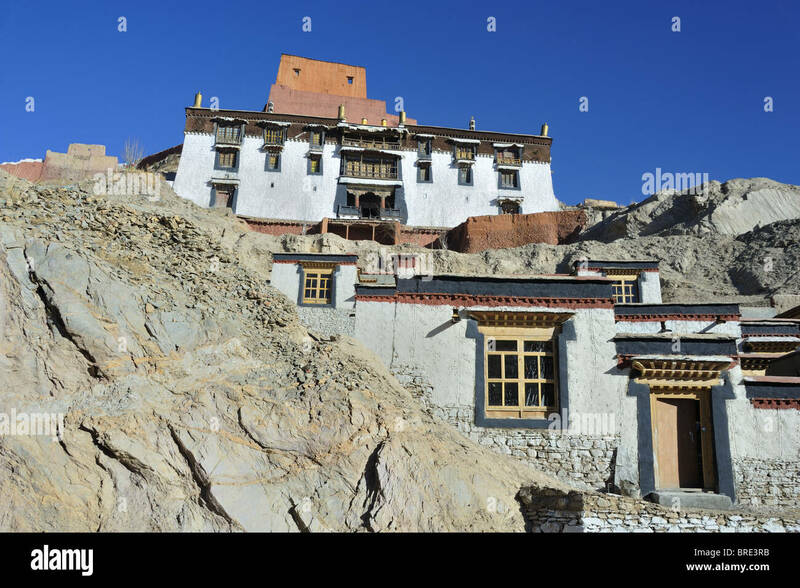 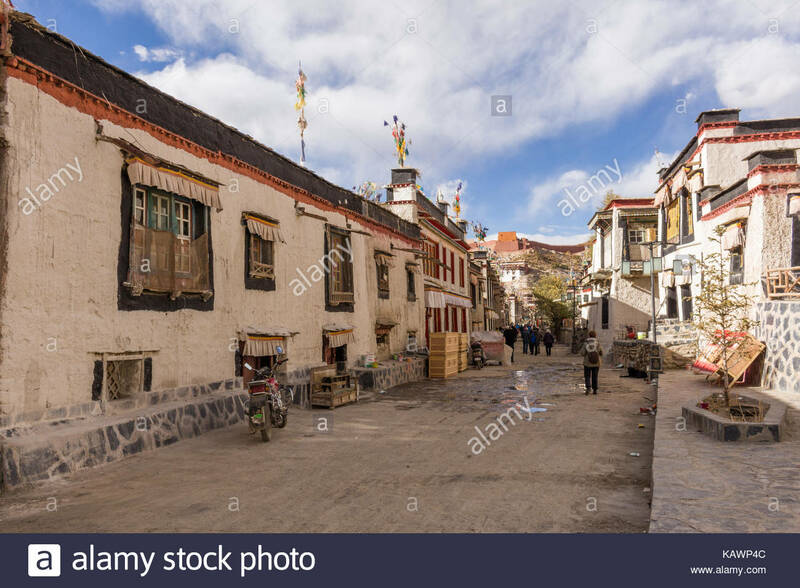 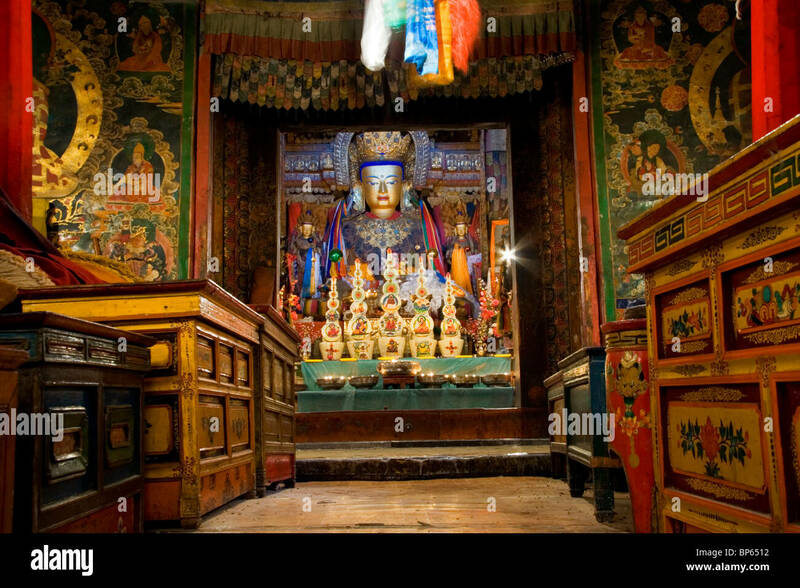 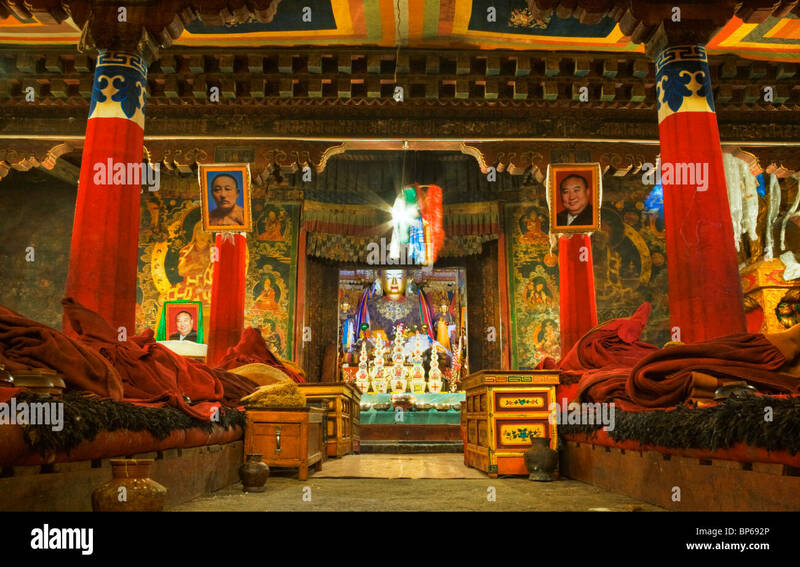 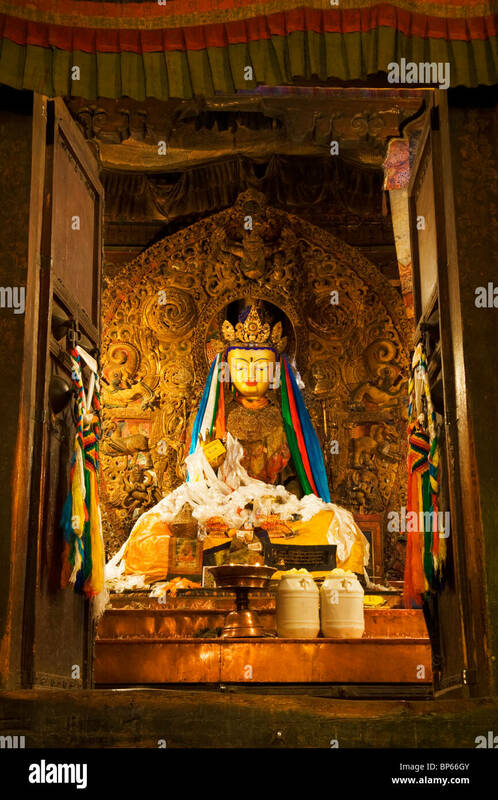 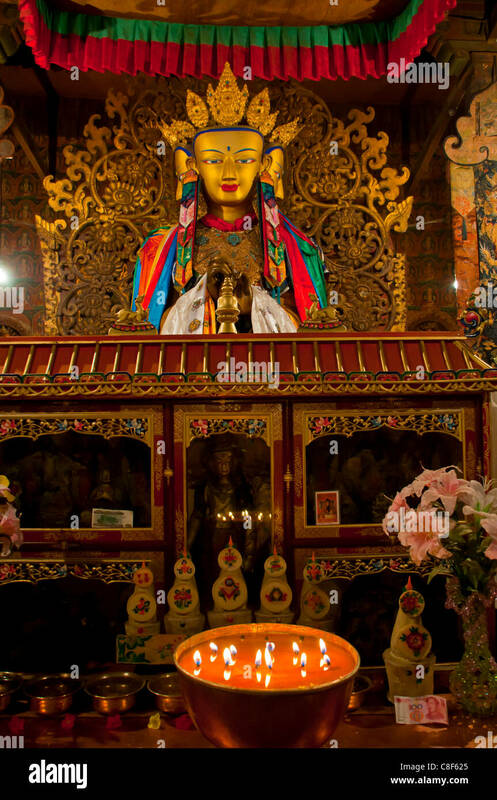 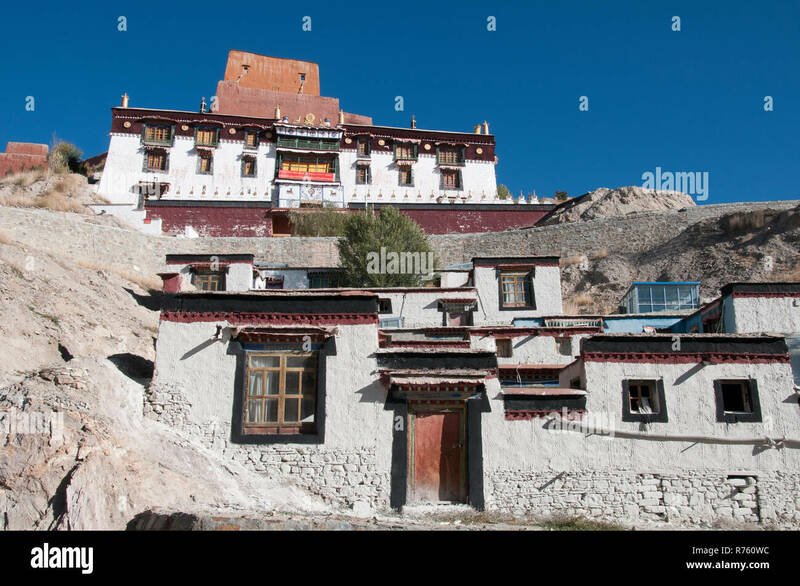 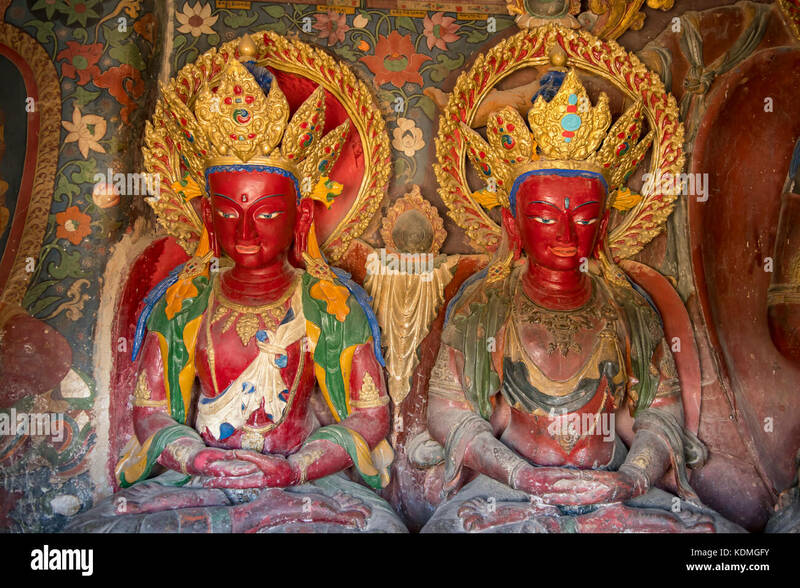 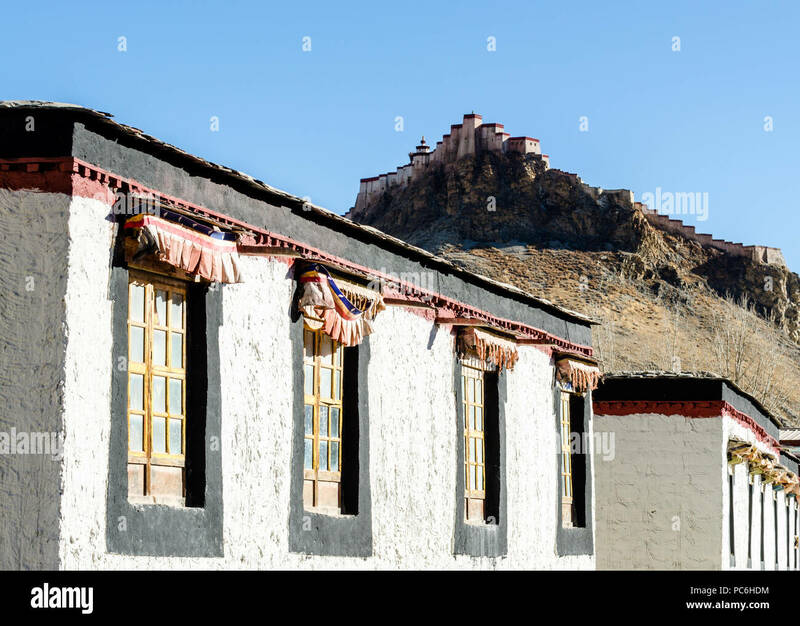 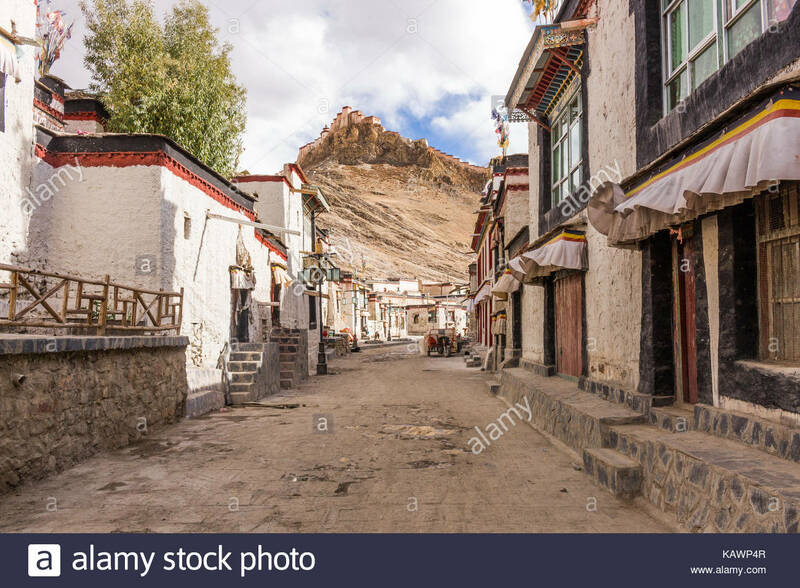 Monks Quarters Palcho Monastery, Gyantse, Tibet. 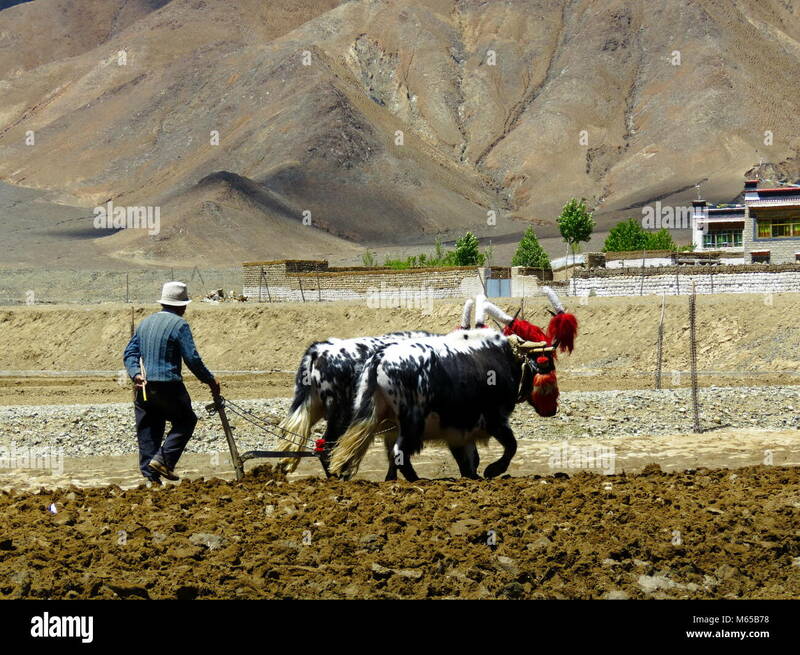 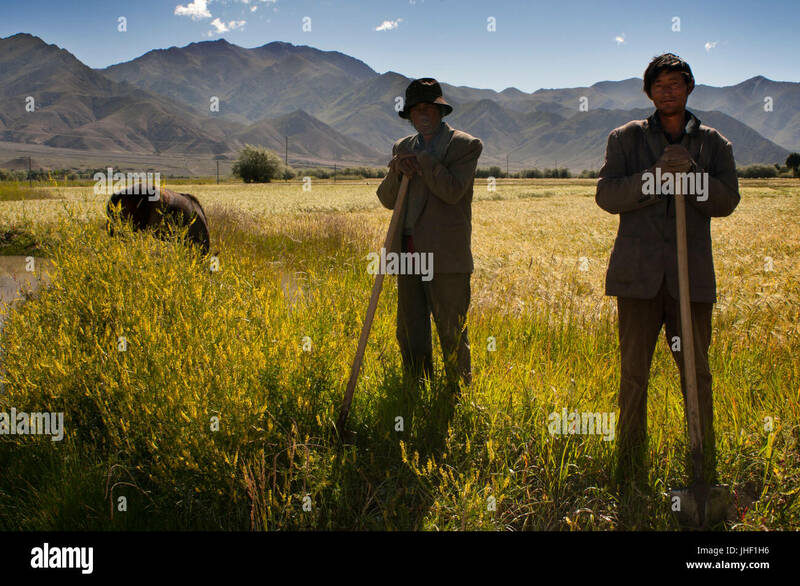 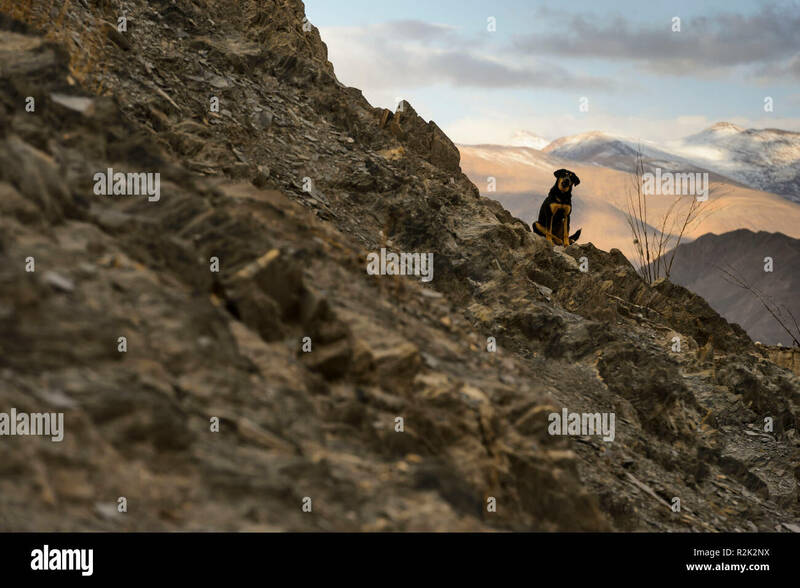 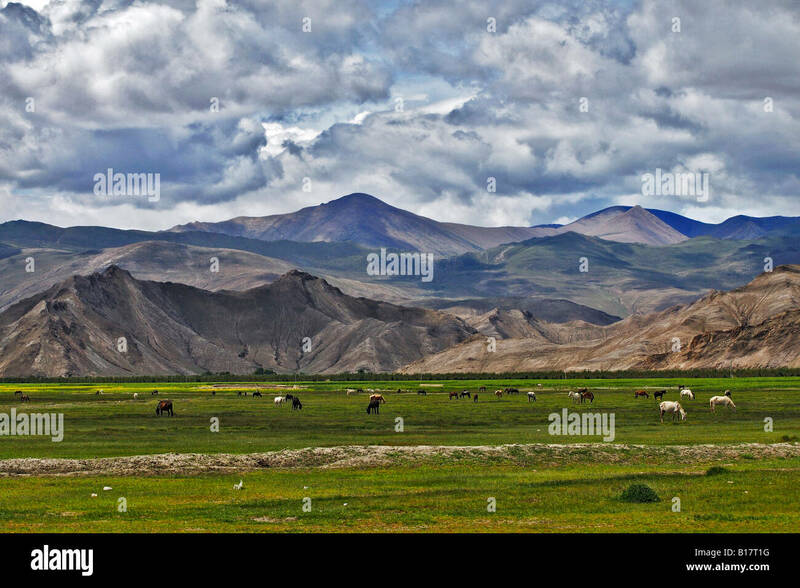 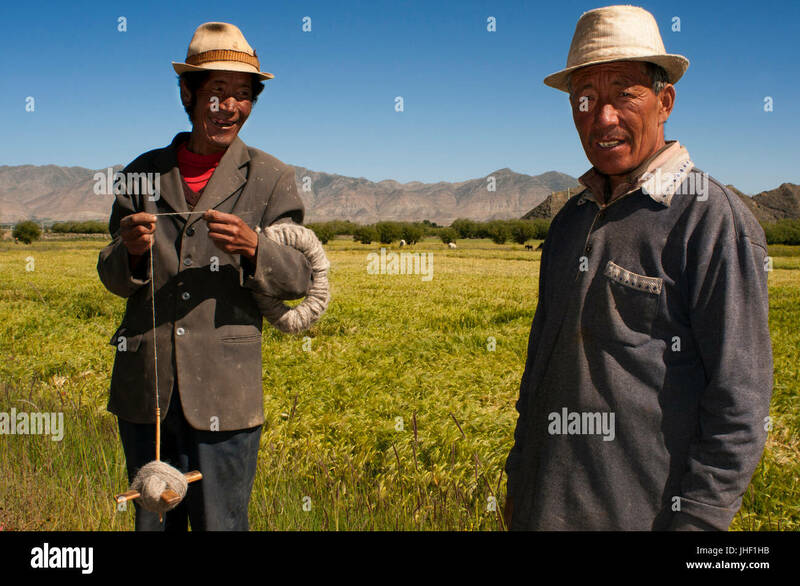 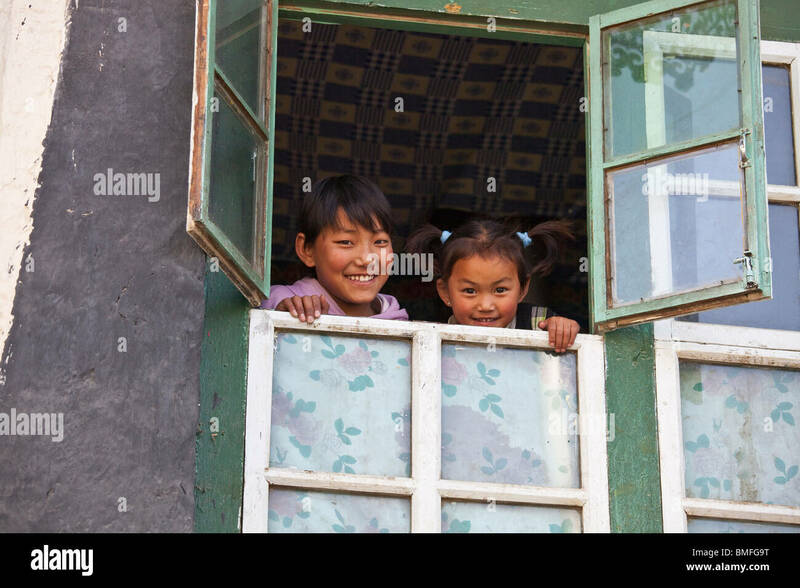 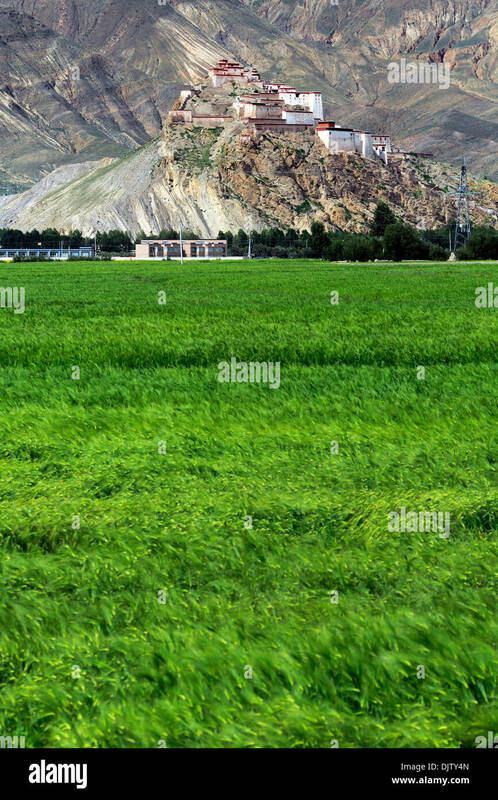 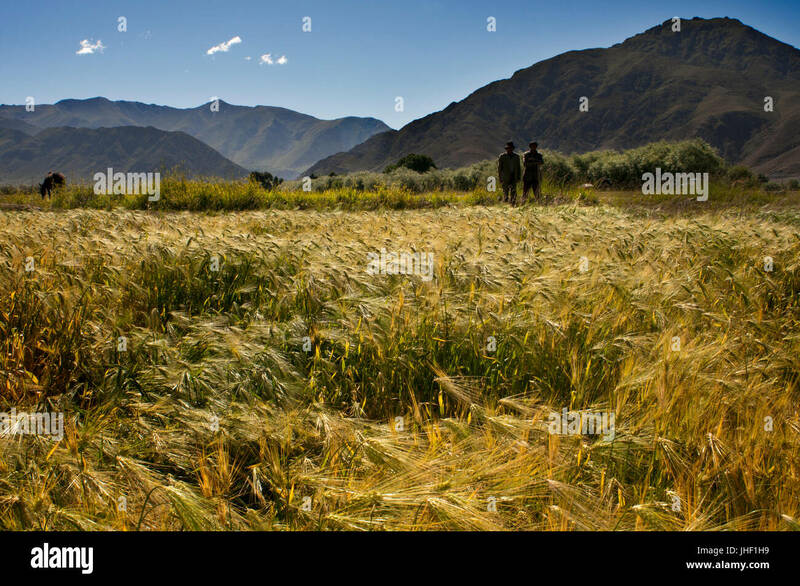 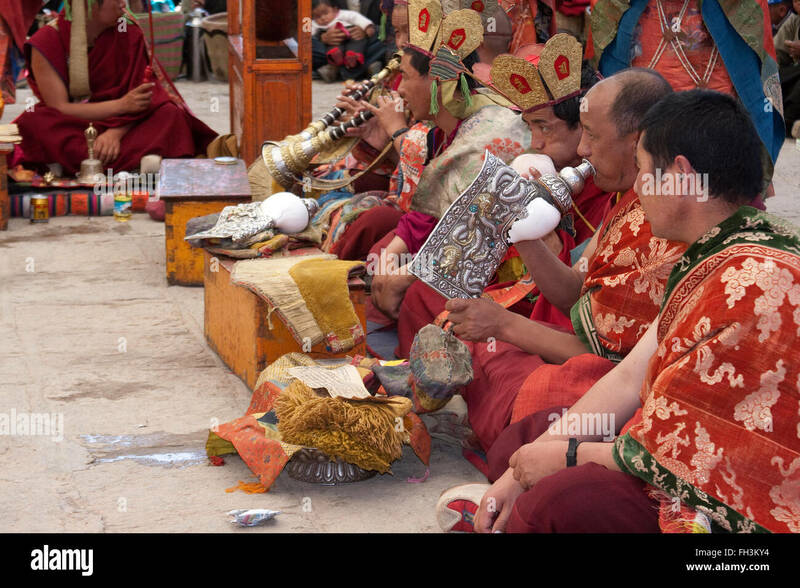 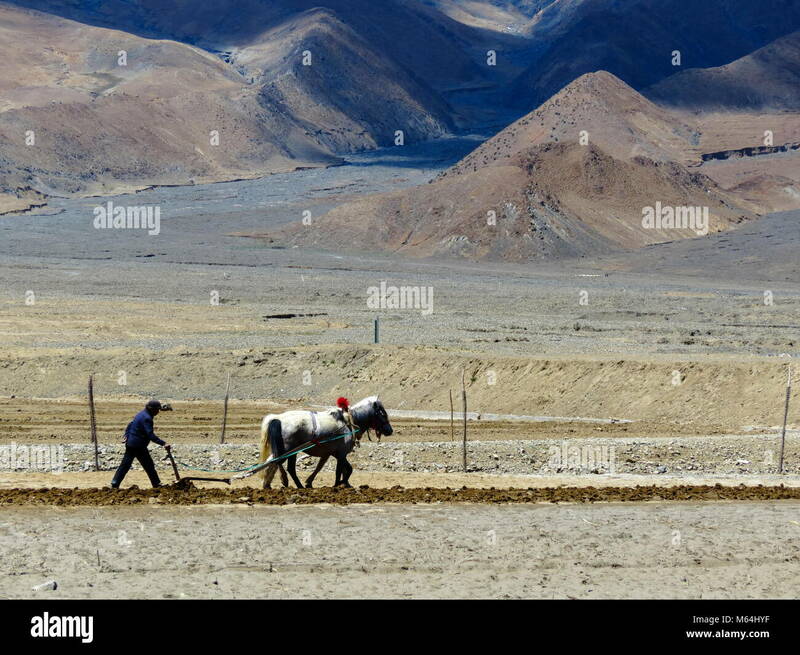 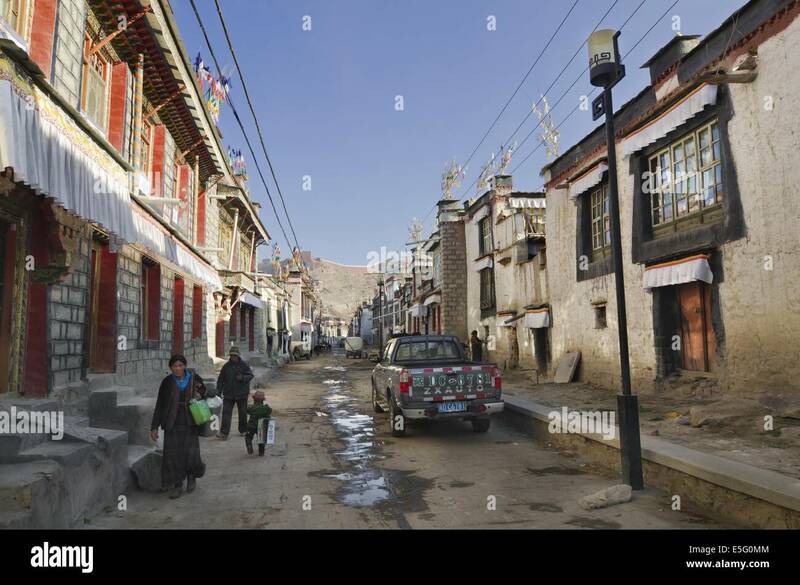 Peasants along the road between Shigatse from Gyantse, Tibet, China. 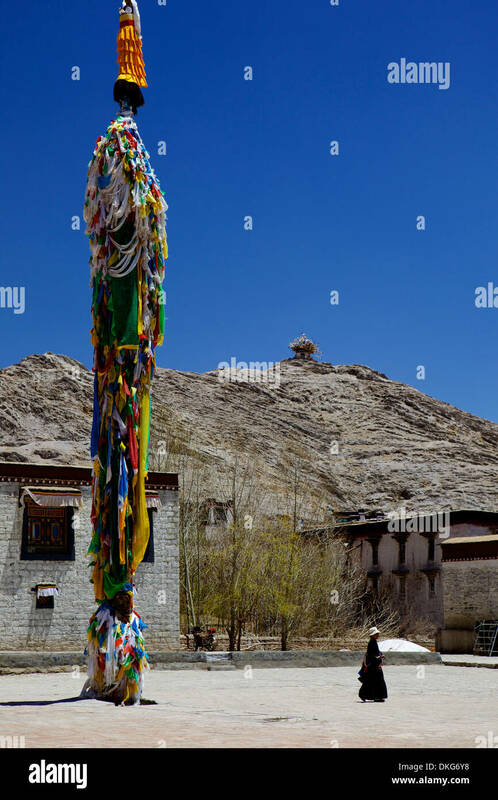 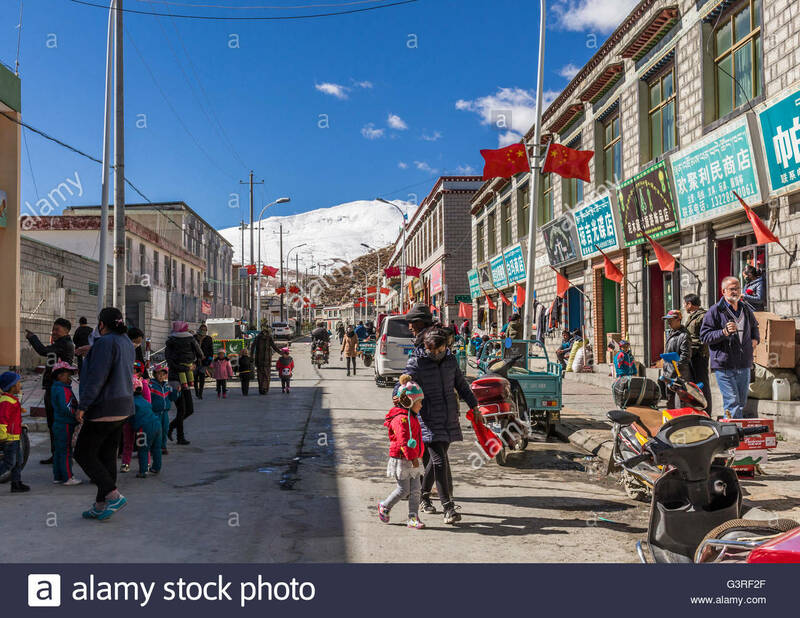 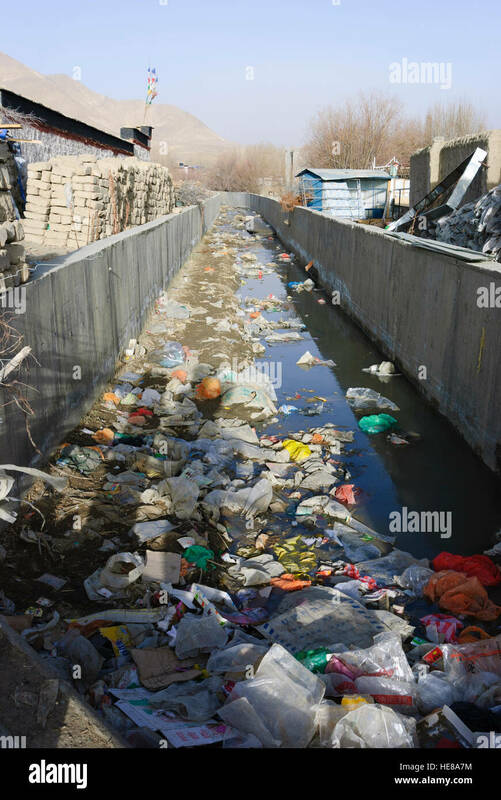 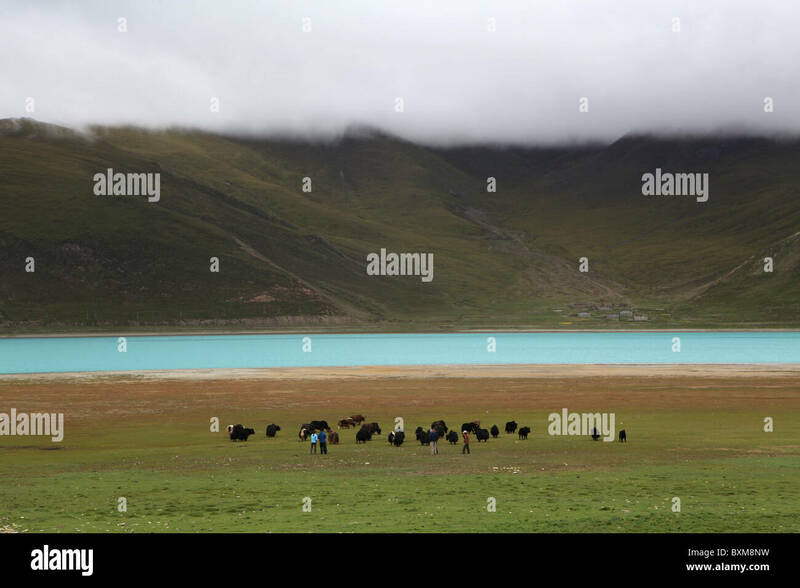 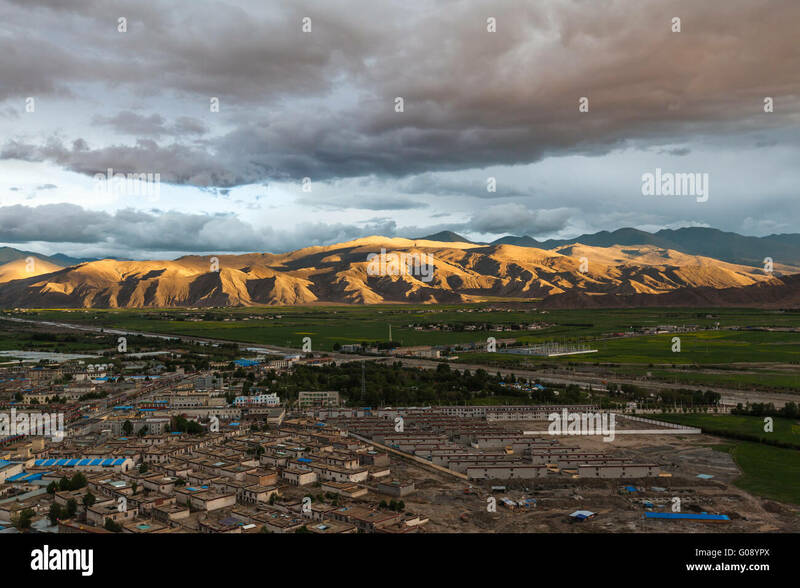 Nyang Chu River in Gyantse in Tibet, China. 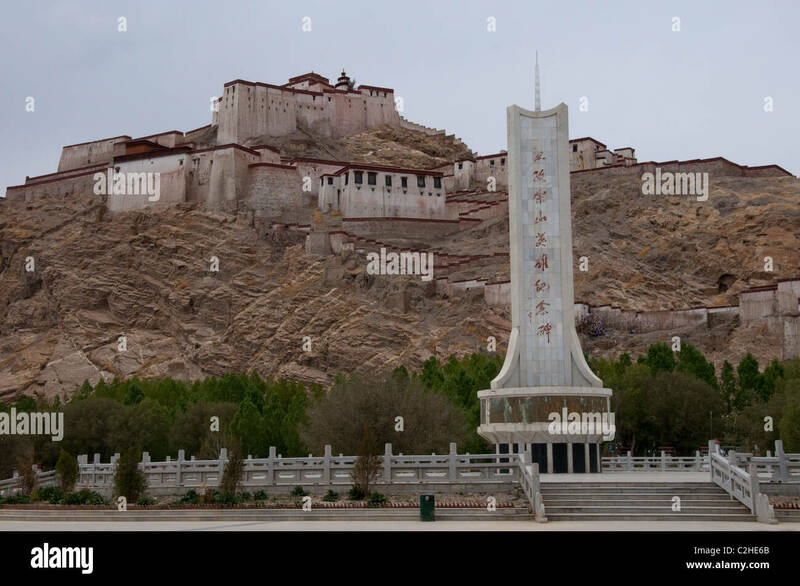 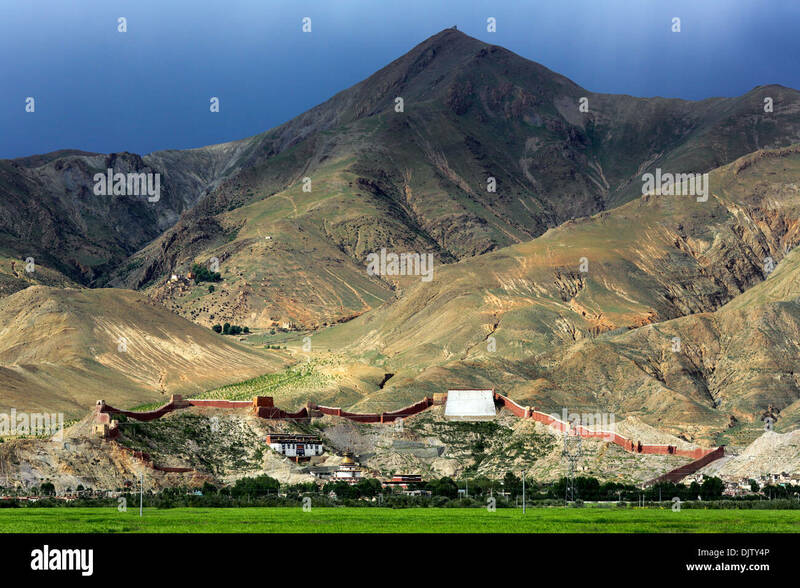 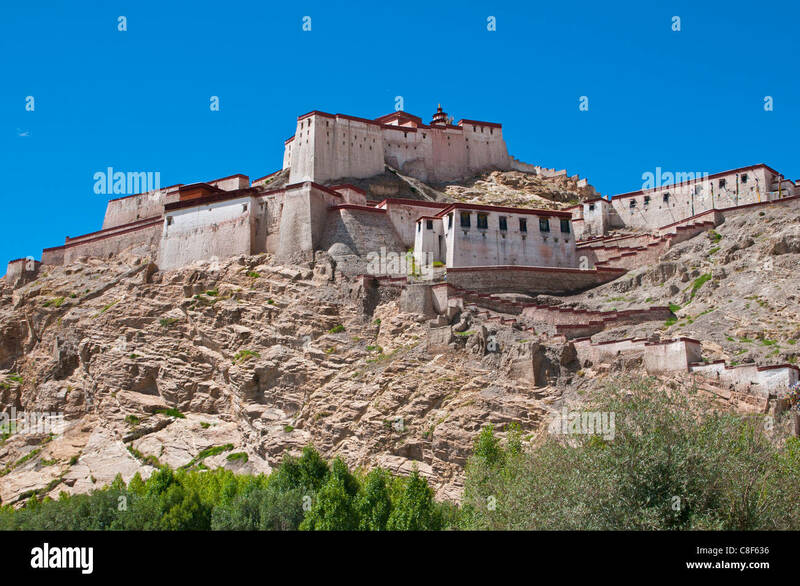 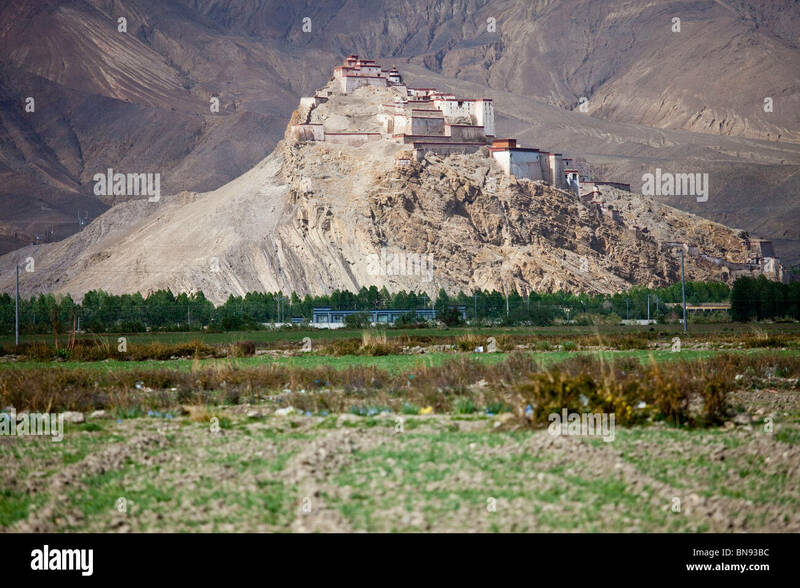 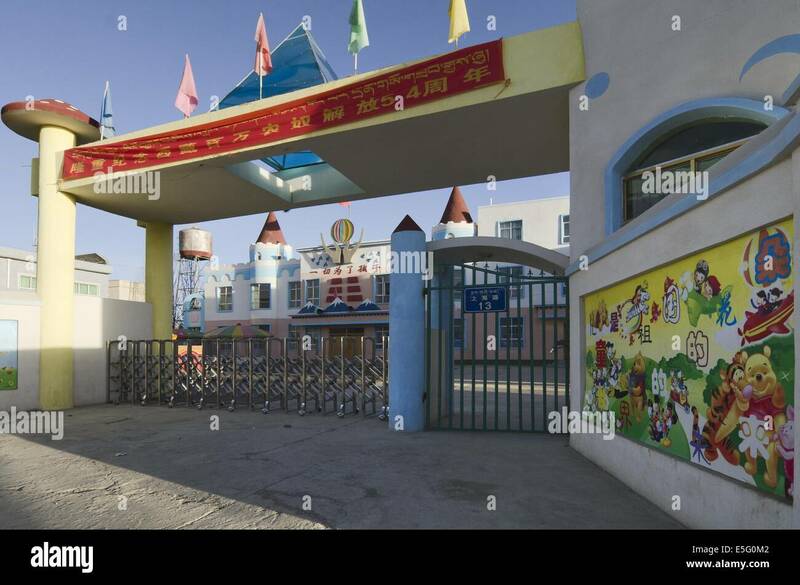 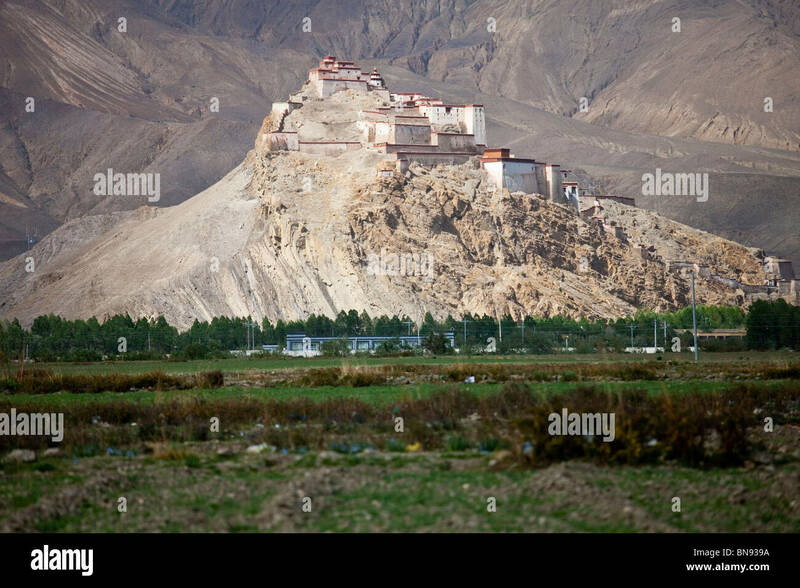 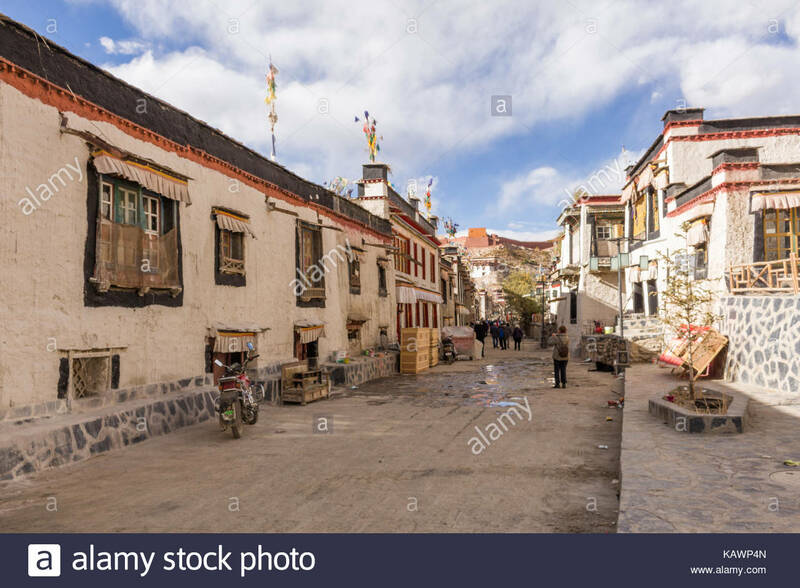 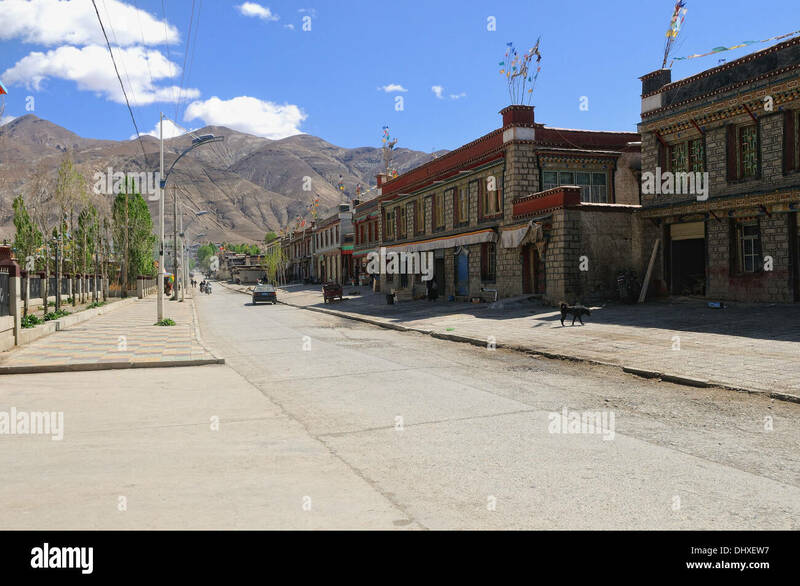 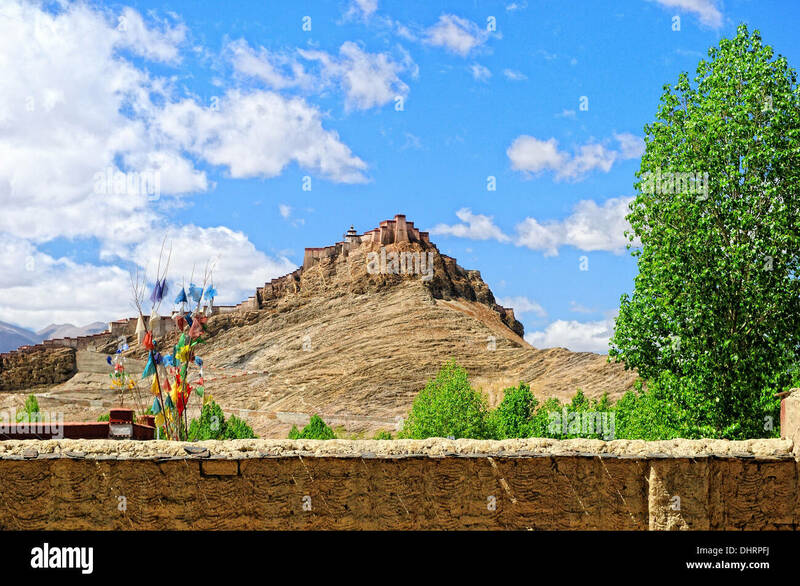 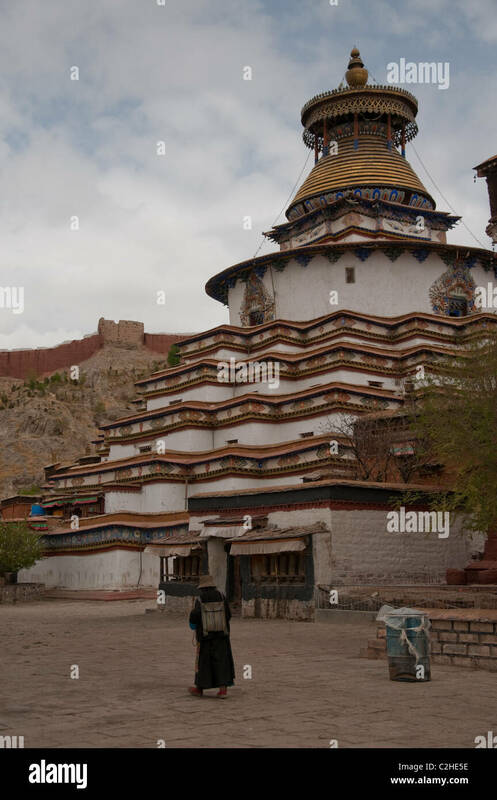 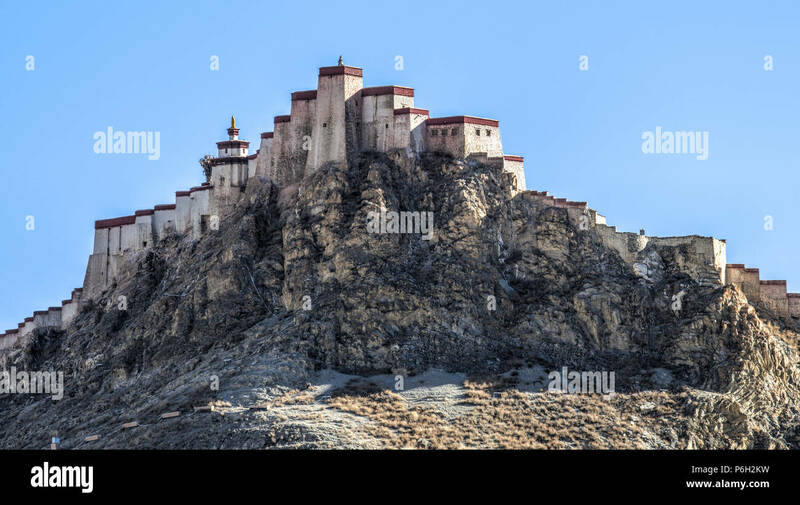 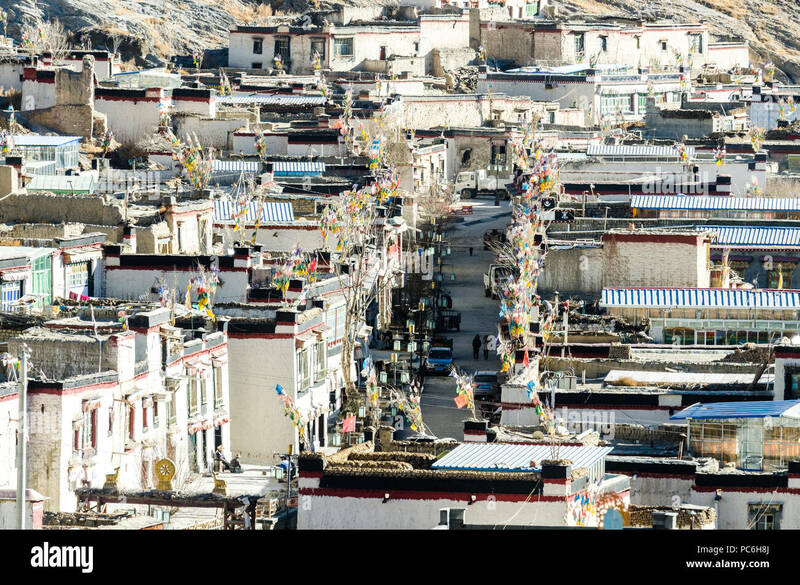 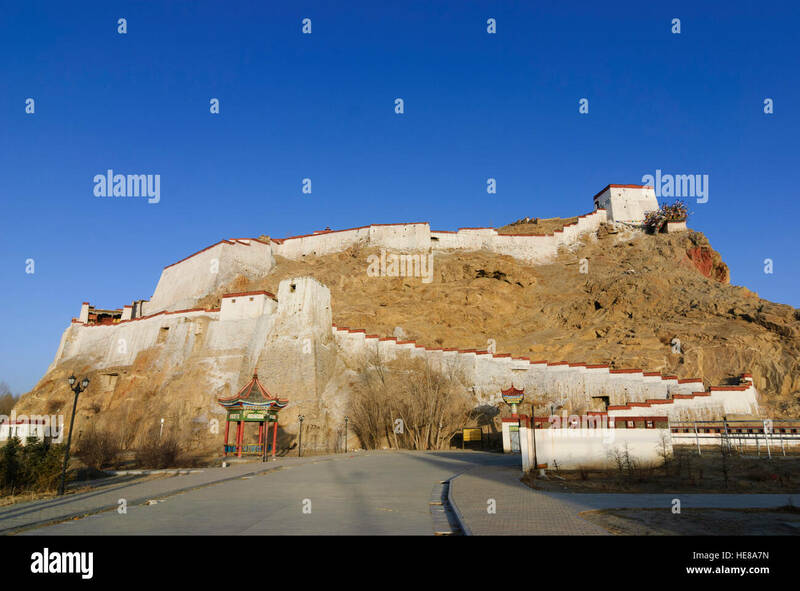 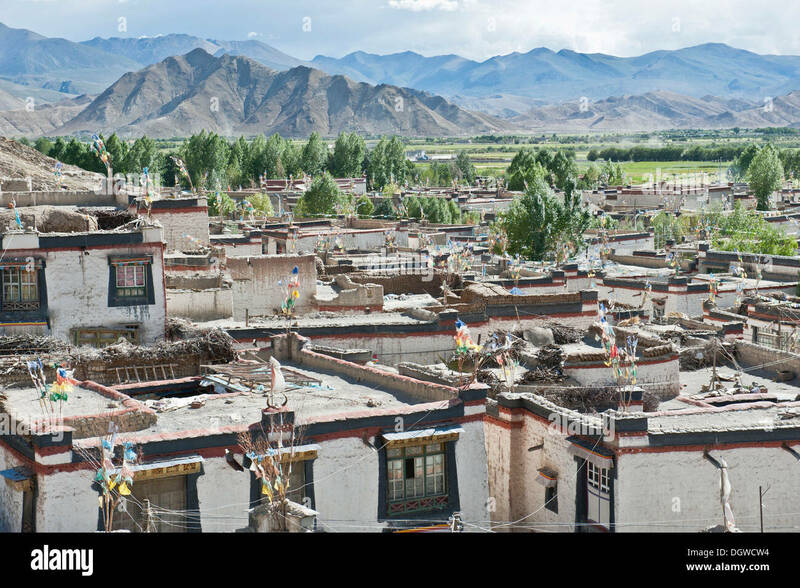 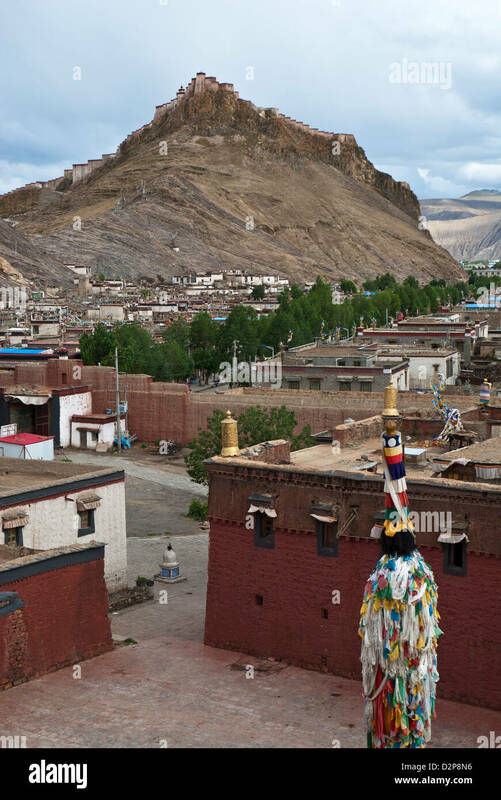 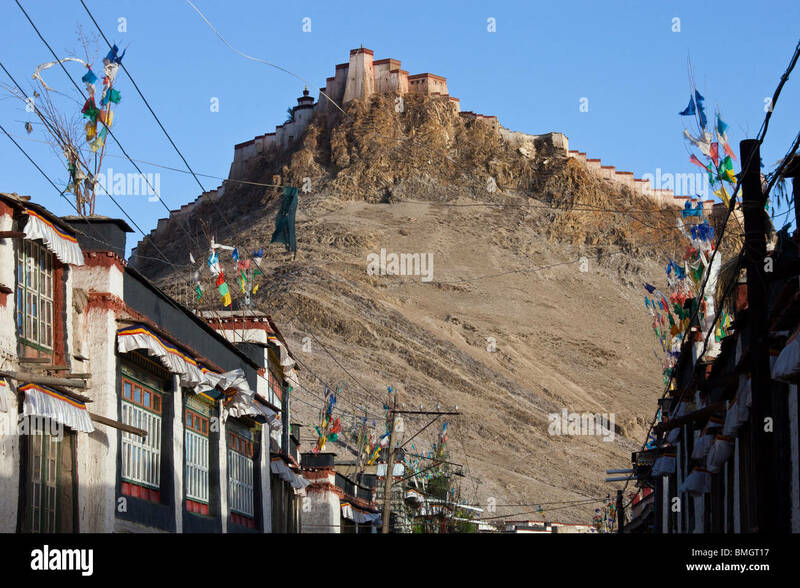 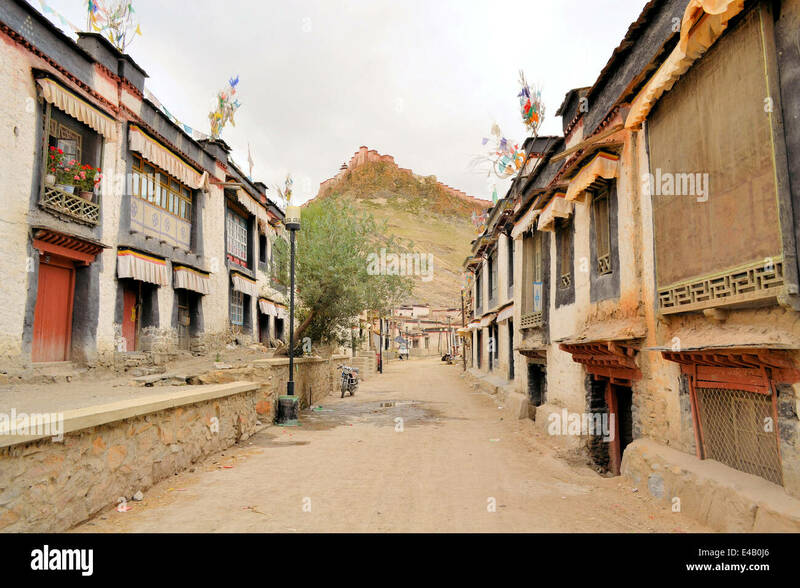 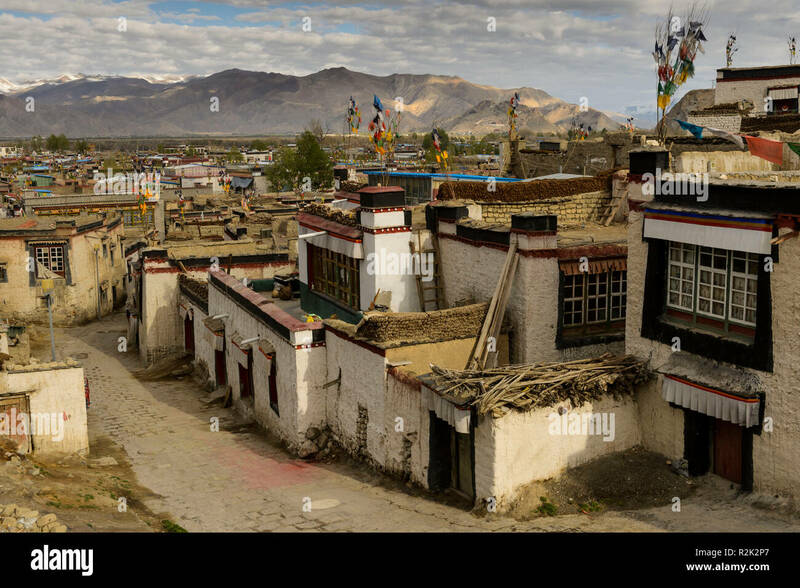 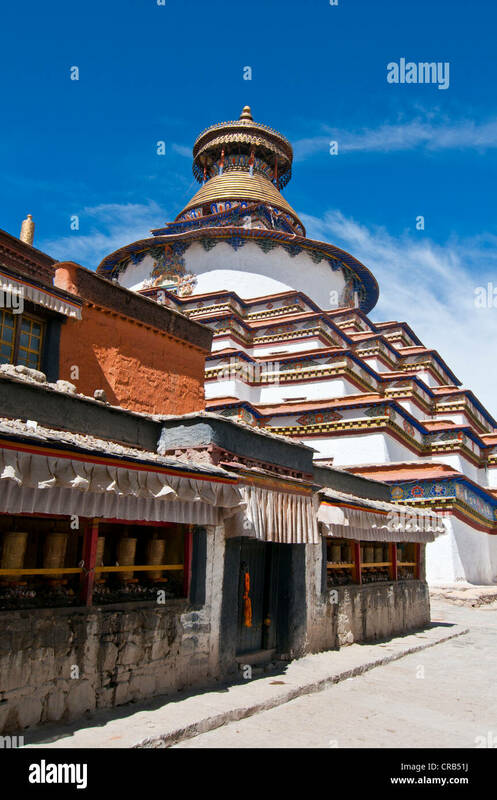 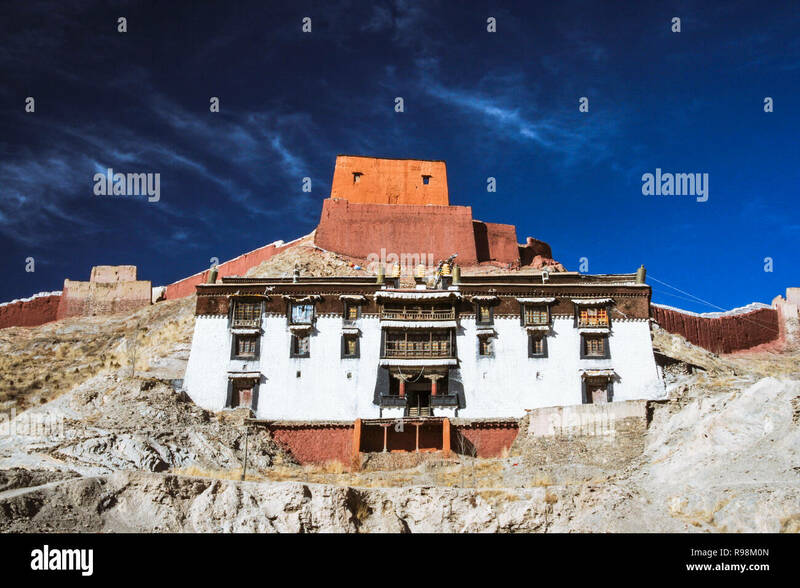 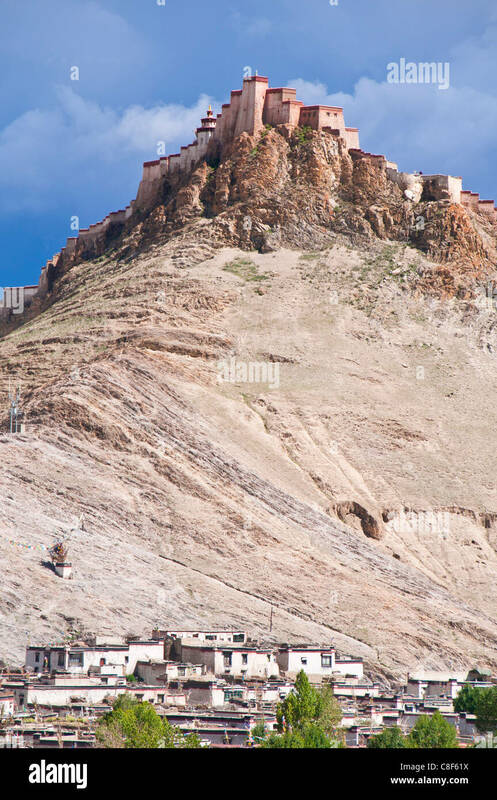 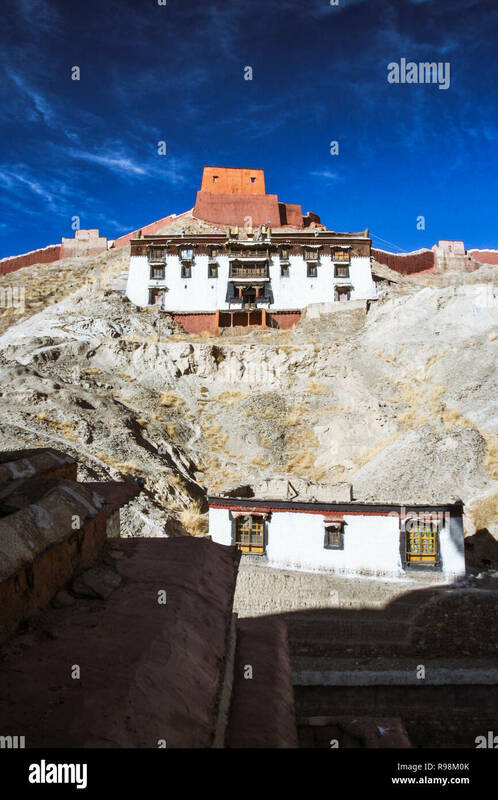 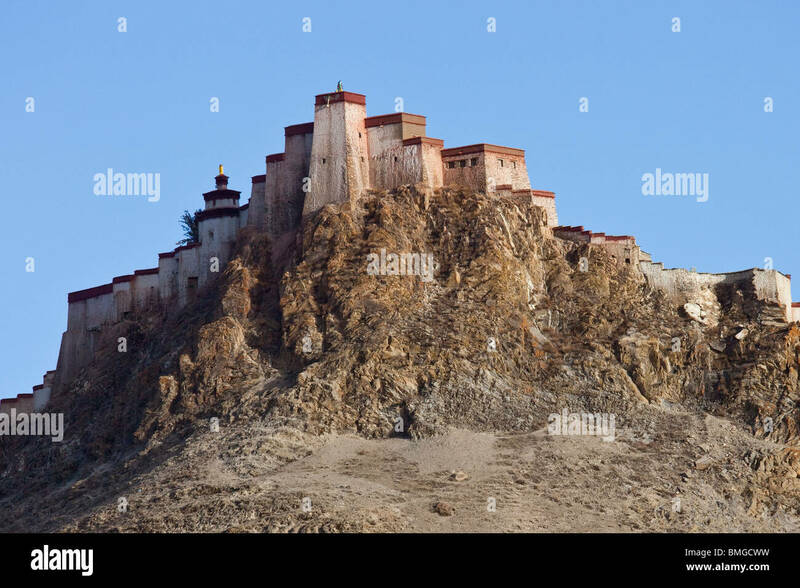 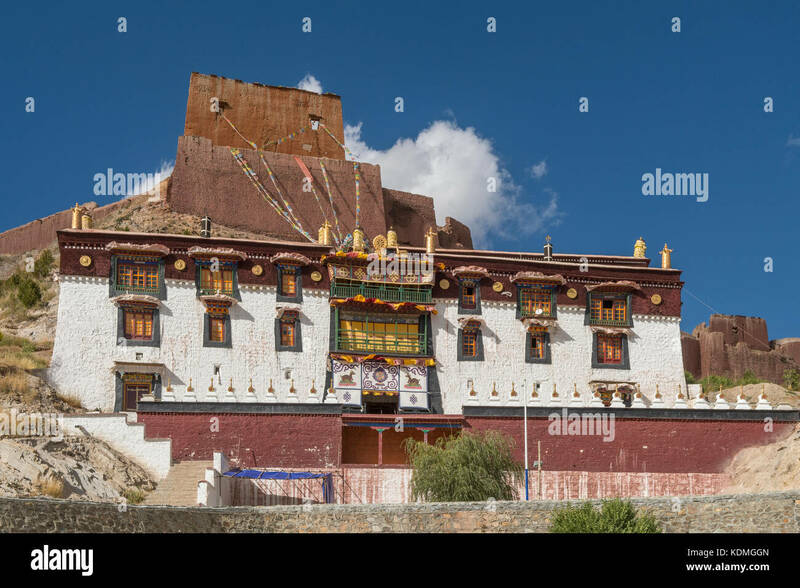 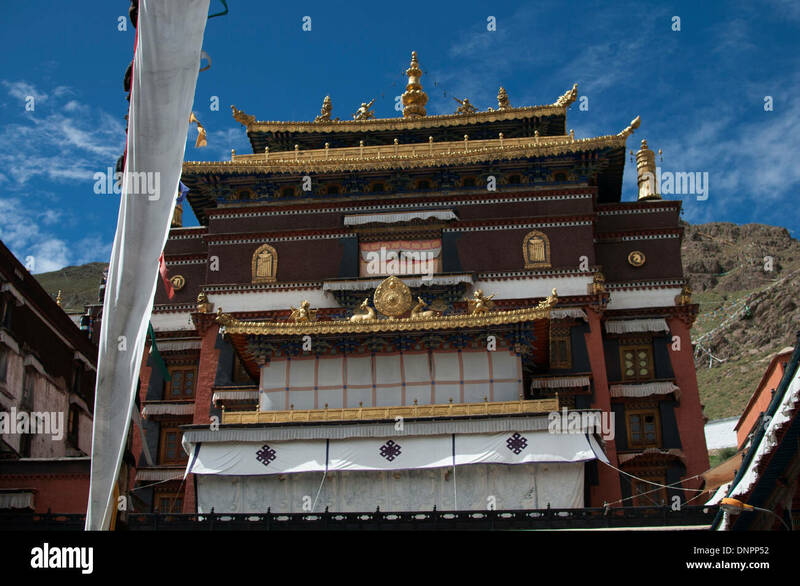 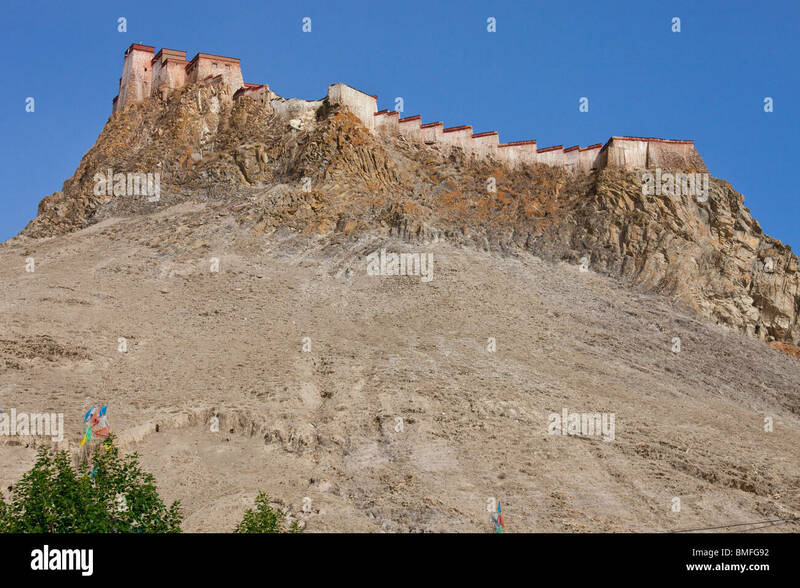 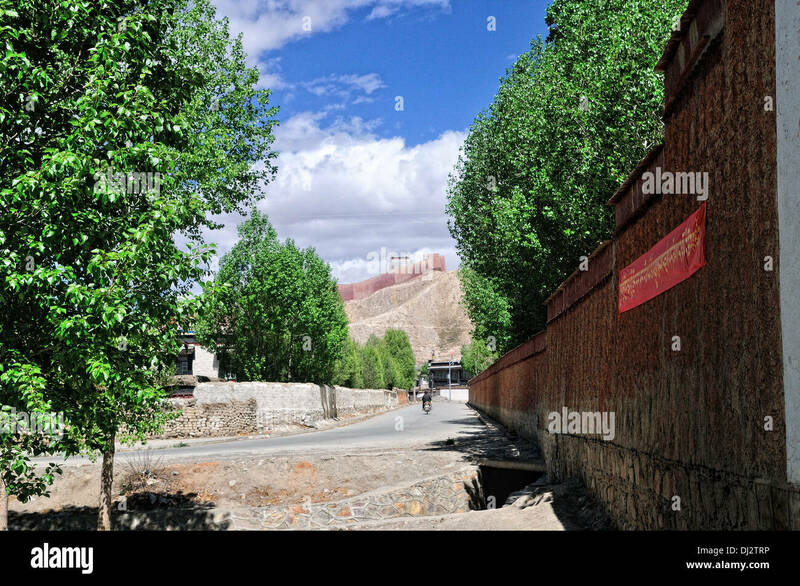 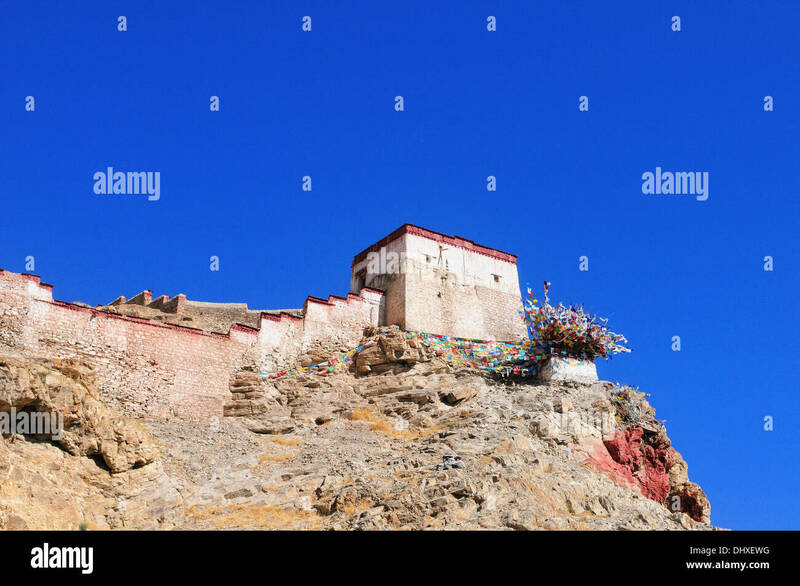 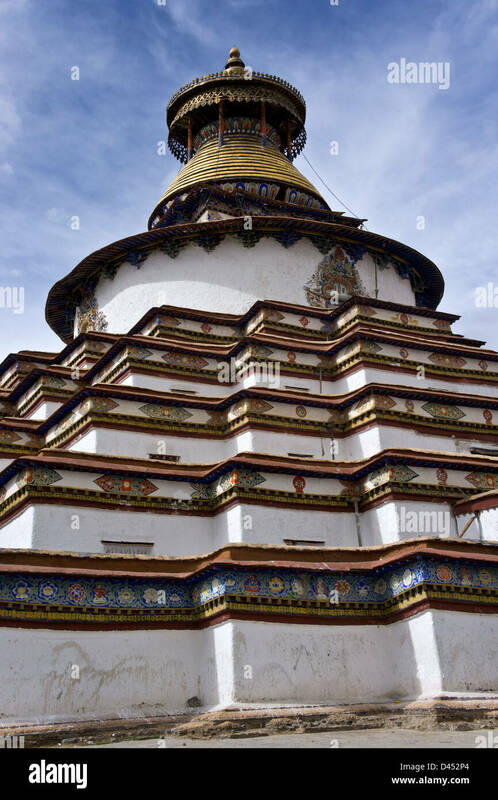 The view of the Great Gyantse Castle in the daytime.